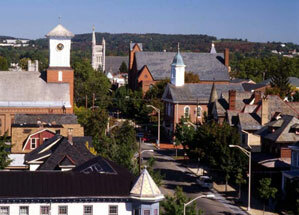 Pottstown is a compact town of 22,000 along the Schuylkill River in southeastern Pennsylvania, about 35 miles northwest of Philadelphia. 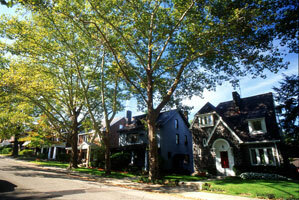 It is lovely and historic, with tree-lined streets and a distinctive downtown. Although the town is not as financially healthy as it once was, it has the potential to become one of the most livable communities in Pennsylvania. 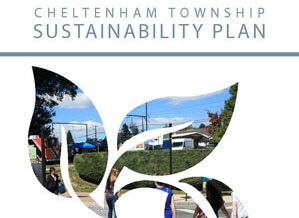 Pottstown Citizens seeks ways we can best manage our resources for the common good. 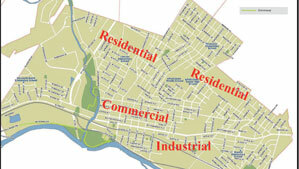 Pottstown has about 8,700 parcels, of which 326 are tax exempt. 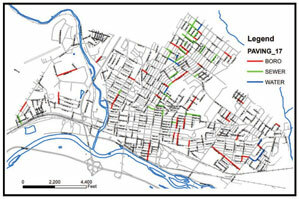 These tax exempt parcels account for more than 20 percent of the total value of Pottstown’s properties. In 2016, the Pottstown School Board and the Foundation for Pottstown Education approved a program to offer professional staff a five-year, $10,000 forgivable loan to buy a home in Pottstown. 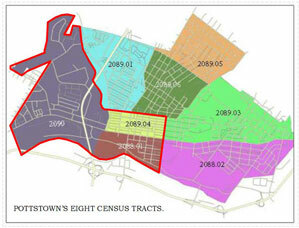 As shown on a chart with this essay, serious crime in Pottstown has actually decreased, not increased. 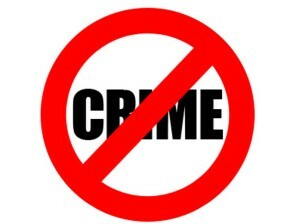 In fact, Pottstown experienced the lowest overall crime rate last year in more than 25 years. 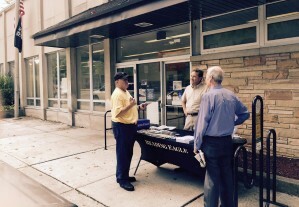 Last month the Reading Eagle Company filed for bankruptcy protection. 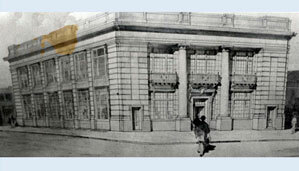 The newspaper has been owned by the same family since its founding in 1868. In the end, death is the great equalizer. It claims everyone from the homeless people on High Street to the billionaires on their lavish country estates. Could we share a little before we go? enough facts to get through the test. Then we promptly forget what we learned. 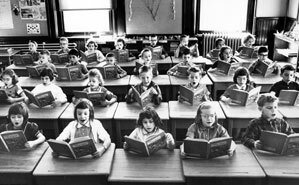 Children's learning in the five years before they begin formal schooling is incredible. Then, in school, they learn not to learn. 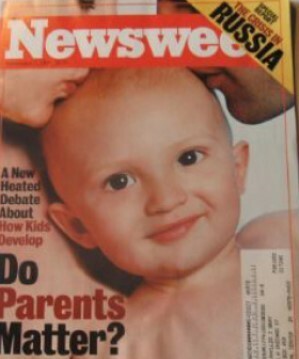 What do we know about children? On Tuesday, we discussed an iconoclastic book by psychologist Judith Rich Harris, who claimed parents have very little influence on their children’s development outside the home. 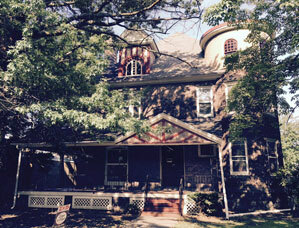 The Pottstown School District never needed the administrative annex building, formerly the Irene Boyer Home for elderly women. 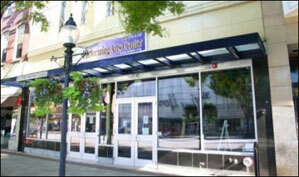 It spent nearly $2 million buying and renovating a building now worth $400,000. Superfluous additions to three of Pottstown's elementary schools pushed the final elementary school construction bill above $30 million. 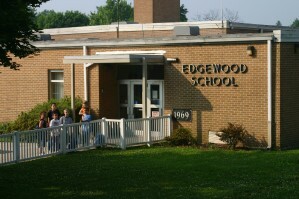 We can't now afford to reopen and renovate Edgewood at a fifth grade center. 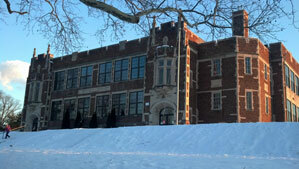 For most of its 85-year history, the Pottstown Middle School was right- sized for its mission. into a costly building extravaganza. 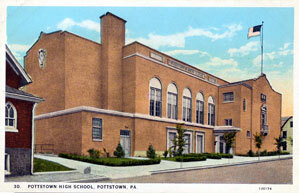 Although Pottstown High School’s population had dropped below 700 students in the mid 1990s, the school board nevertheless decided to enlarge it with a huge new gym. On Thursday night, the Pottstown School Board will meet in executive session to discuss contract negotiations with the Federation of Pottstown Teachers. 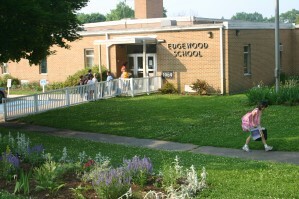 The Pottstown School District is considering moving its fifth grade students from the middle school to the former Edgewood Elementary School. other countries. 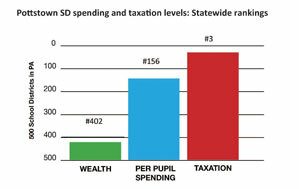 Pennsylvania spends more on education than most states, and Pottstown spends more money than most districts in Pennsylvania. Two-thirds have a higher percentage of low-income students than Pottstown. 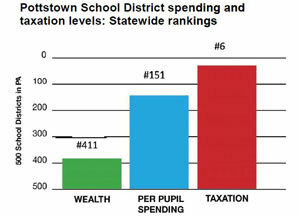 Two-thirds spend less per pupil than Pottstown. The wealth of this community has fallen dramatically in recent years. 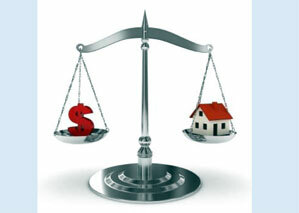 The assessed value of our property is less than it was 20 years ago. Can we just keep raising taxes? 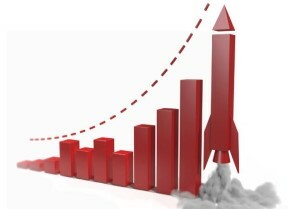 Skyrocketing costs ... better results? Pottstown School District spending has been triple the rate of inflation in recent decades. Pottstown Council will conduct a public hearing 7:30 tomorrow night at its Committee of the Whole meeting on a request by the Montgomery Elks Lodge, 605 Walnut Street, to obtain a liquor license. It’s not surprising that Weitzenkorn’s men’s store is downsizing and moving to Phoenixville, which has a healthier downtown. 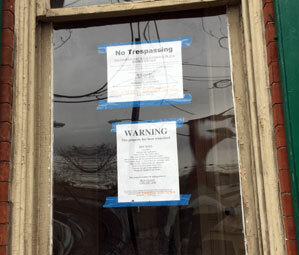 The surprise is how long the 150- year-old store has held out in Pottstown. It has taken nearly 20 years for the former Mrs. Smith's Pie Co. site to be redeveloped. Let’s hope it doesn’t take that long for the renovation of the 19th century Meyerhoff shirt factory at Charlotte and Cherry streets, which was last used in the 1990s as a Mrs. Smith’s Pie Co. laboratory. 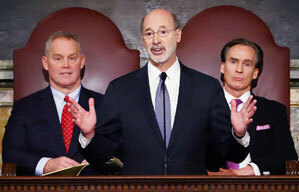 With a steeply declining tax base and the sixth highest taxes of Pennsylvania’s 500 school districts, the Pottstown School Board should look long and hard before spending millions of dollars to reopen Edgewood School. submitted plans to the borough for a $16 million “transformational” STEM center called the Quadrivium. 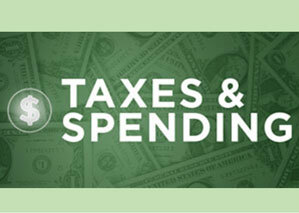 It’s easy to keep state taxes down when you simply pass your costs on to local municipalities. 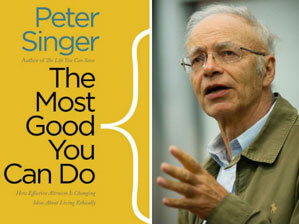 Can we act for the common good? With the sixth highest school taxes in Pennsylvania, it’s vitally important to recognize our public schools are not the only game in town. 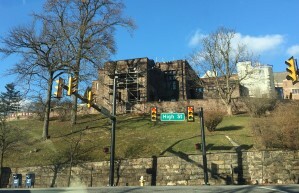 Can we fix a prominent eyesore? 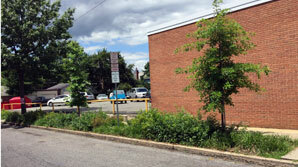 A Conshohocken developer will ask Pottstown Council this month to waive a land development plan for changes it wants to make at High Street Plaza, a strip development on East High Street where a Subway Restaurant and beverage distributor used to be located. 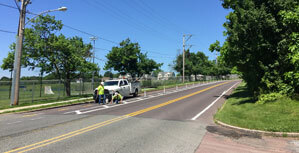 Last spring, Pottstown became only the third municipality outside Philadelphia and Pittsburgh to install protected bike lanes. 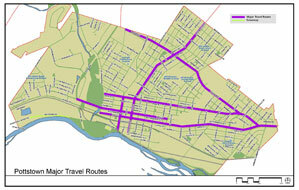 Now Harrisburg is joining the ranks of cities with protected bike lanes. 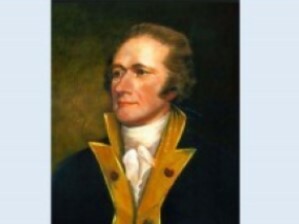 Two hundred years ago, Alexander Hamilton founded a newspaper called the New York Evening Post to espouse his political views. Here are some issues we need to address in 2019 to best manage Pottstown's resources for the common good. 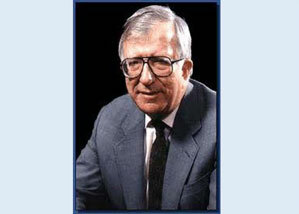 Today, I’m going to reflect on one of my favorite Pottstonians, a man who led a peaceful, quiet, healthy life. He died in his sleep at 98. 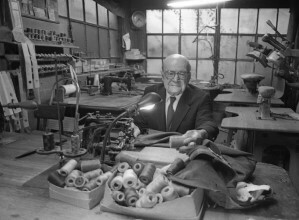 He was a tailor. 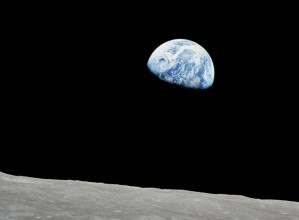 Fifty years ago on Christmas Eve, thanks to astronauts orbiting the moon 240,000 miles away, humans were able to see our Earth as it truly exists, floating in space. 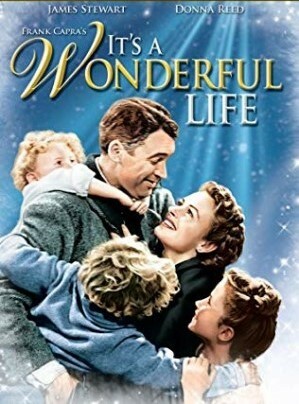 In the next week, thousands of families will once again enjoy the beloved 1946 Christmas classic, "It's A Wonderful Life." 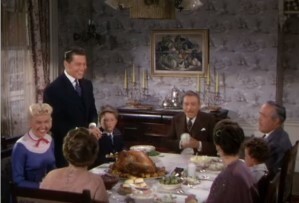 Ironically, the film evokes a way of life that has been largely abandoned by middle class Americans. Seventy years ago today was a significant day for both Maurice Meier and me. 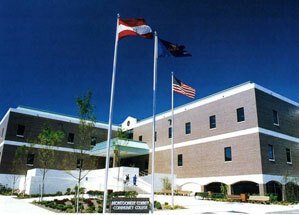 I was born in the Reading Hospital, and Maurice Meier arrived at Ellis Island from Europe aboard the Queen Elizabeth. He later moved to Pottstown. 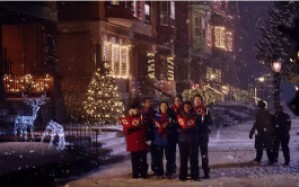 This heartwarming Christmas scene promoting the Pennsylvania Lottery, which has been aired every holiday season since 1992, could only be filmed in a real town like Pottstown. 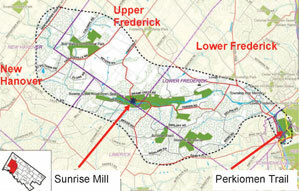 Developments are breaking out all over in once-rural townships outside Pottstown. More cars, more traffic, more pavement, less green space. Thanks to the internet and enlightened public policies, we can easily access a wealth of public information about our county, school district, and borough. Parks: More money or more nature? Parks are wonderful. But with a declining tax base, we can’t afford them all. Some of them should become low-maintenance natural areas. of the building he is leasing back to the YMCA. 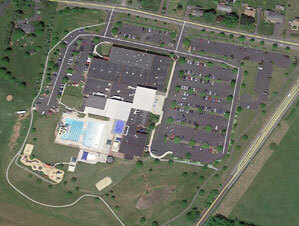 Pottstown area enterpreneur Charles Gulati is leasing about 40 percent of his 75,000 square foot building to the YMCA. The rest of the building will be leased out to private athletic training providers and for fitness and wellness. Area residents will join millions of consumers across the country in the next few weeks in maxing out their credit cards to buy lots of stuff that won't be used. wrote about it in the New York Times. 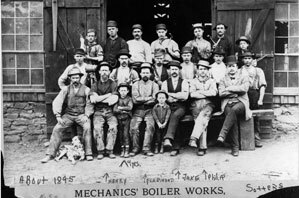 Pottstown was an industrial giant a century ago. 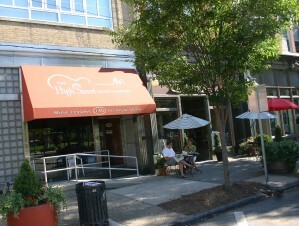 High Street was the retail hub of the region, and our downtown area was dotted with professional offices and homes of distinction. It's easy to think Pottstown is worse off now than for previous generations, but this ignores the enormous improvements in daily life we take for granted. to contribute to Pottstown’s welfare. Do we need a community foundation? Many communities have umbrella foundations that raise money from multiple local donors to improve a community’s quality of life. What is the most important issue facing the nation? What next again? Climate change. Should the wealthy give back? 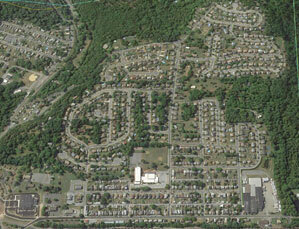 There are lots of wealthy people in the Pottstown area. Do they have any special obligation to help improve their community? 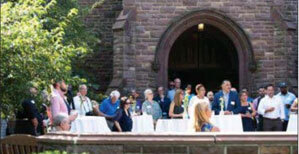 Beyond government grants and foundations, there’s a source of funding for initiatives Pottstown could not otherwise afford: private philanthropy. 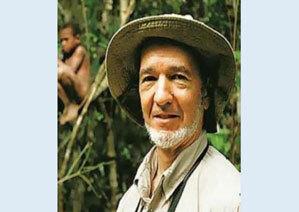 late Dr. Richard Whittaker. 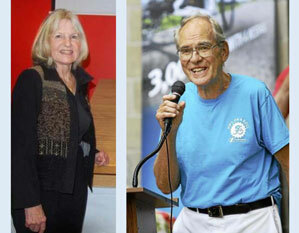 Now, two years after his death from cancer, his wife is continuing his legacy of giving. 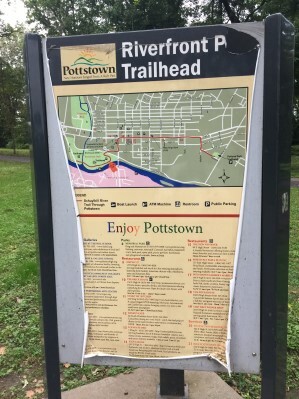 Perhaps the most visible impact of the Pottstown Area Health and Wellness Foundation has been the creation and expansion of parks in Pottstown and the surrounding region. 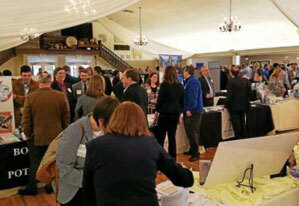 The Pottstown Area Health and Wellness Foundation can marry economic development to healthy lifestyles and capitalize on Pottstown’s unique infrastructure. Next to health care providers, highest group of recipients of grants from the Pottstown Area Health and Wellness Foundation has been public schools — about $7 million, nearly 20 percent of total grant funding. 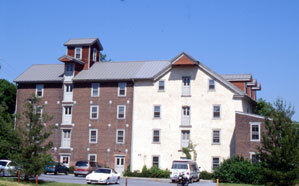 within a 10-mile radius of the borough. 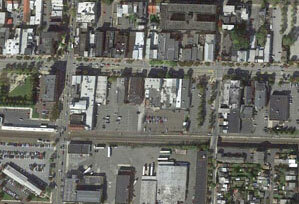 When Pottstown installed back-in parking on High Street in 2003, it was the first Pennsylvania municipality to do so. 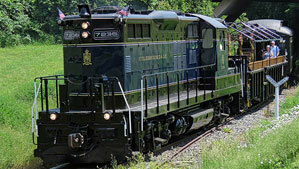 Now other Pennsylvania towns have added back-in parking, as well. Change always brings complaints. Some are complaining about the new bike lanes, especially the traffic-calmed intersection where Roland and Jackson streets join Beech Street. Bike lanes make streets safer for everyone no matter how many bicyclists use them. real substance is sorely lacking. 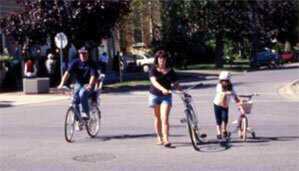 grants for bike lanes to promote biking to school. 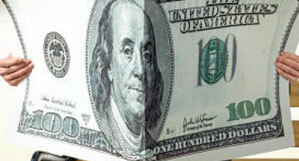 The borough has become more proficient in obtaining grants — about $22 million over the last 17 years. Thanks to a federal grant, a contractor has replaced deficient sidewalks along High Street and Roland Street at no cost to the property owner. 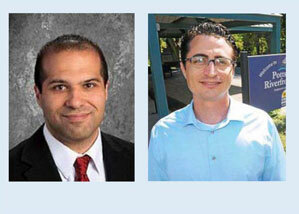 Pottstown has a bargain with Borough Manager Justin Keller and Schools Superintendent Stephen Rodriguez. They are working with a more economical administration than their predecessors. 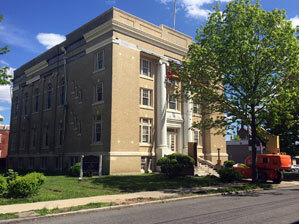 Pottstown's tax base continues to deteriorate. If spending is not reined in, Pottstown will continue its downward cycle of lowered assessments, leading to high taxes, leading to more lowered assessments. A few states have dramatically increased their share of school funding, such as Vermont, which boosted funding as a result of a court order in 1997. That's probably the only way it will happen in Pennsylvania. In 2016, the legislature adopted a new school funding formula. BUT it called for the new formula to be phased in very slowly (more than 25 years for full implementation) because a lot more districts would lose funding than gain funding. Americans may not want to believe it, but we pay less in total taxes than citizens of any other industrial country. 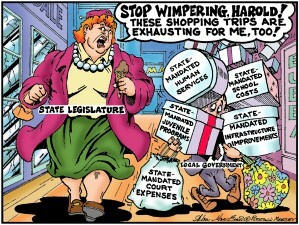 State governments collect, on average, about 28 percent of all tax revenues. 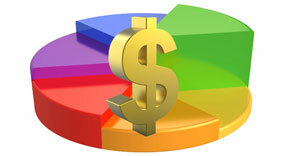 Local governments collect about 11 percent of all tax revenues. 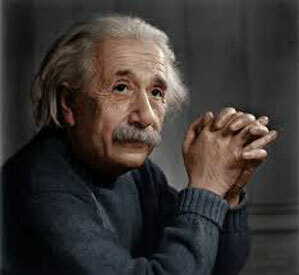 George Orwell, the author of Animal Farm and 1984, defined patriotism as “devotion to a particular place and a particular way of life, which one believes to be the best in the world but has no wish to force on others.” That's Pottstown! 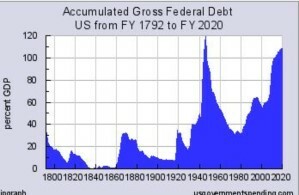 Within ten years, the public debt will almost match the size of the total national economy, the highest point since the end of World War II. Corporate debt has skyrocketed. The state government is also in hock, and its senior citizen population is rising. 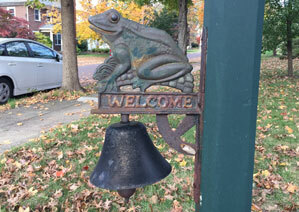 Pottstown enjoys a heritage of enlightenment that few other places can match. 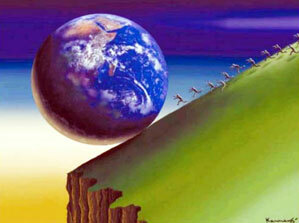 There are many inequities from the past, and we should concentrate on the things we have a reasonable chance to change. deduction for mortgage interest payments. 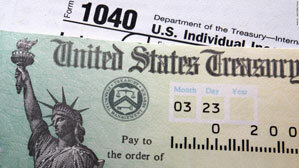 Should income tax returns be public? Government requires money to operate, and every citizen is expected to pay his fair share. So why shouldn’t individual tax payments be made public? 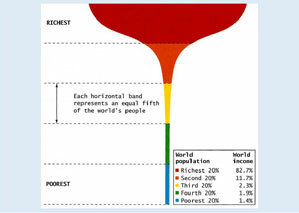 There are the mind-boggling disparities in the distribution of wealth among the people of the world and in America. 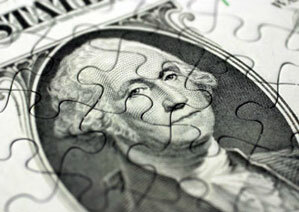 What do you do with excess wealth? 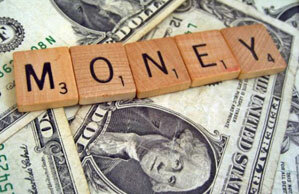 Surplus money may not make people happier, but they hang on to it all the same. 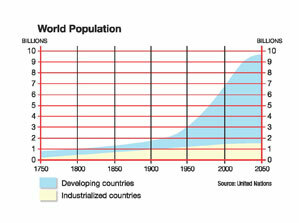 Last Wednesday, July 11, was World Population Day, which was first established by the United Nations in 1989 to highlight the world’s exploding population. There are nearly 8 billion people on the planet, and they all want the same high quality lifestyles people in the developed world enjoy. We have to get over the "win-lose" mentality our president has fostered, or we'll all lose. 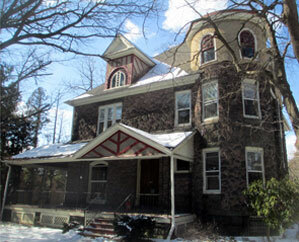 Pottstown continues to offer great housing bargains. 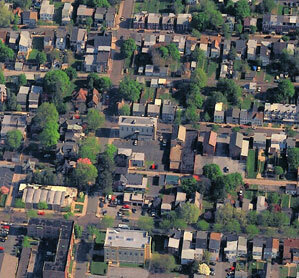 Even with sky-high taxes, Pottstown gives you more house for your money than any adjacent suburb. 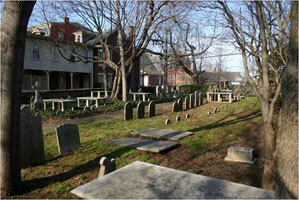 Council about their efforts to maintain the historic Edgewood Cemetery at High and Keim streets. 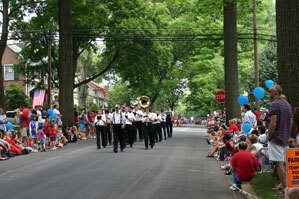 As people gather for tomorrow's Fourth of July parade, they will find 20 newly planted trees on High Street and nearby thoroughfares. 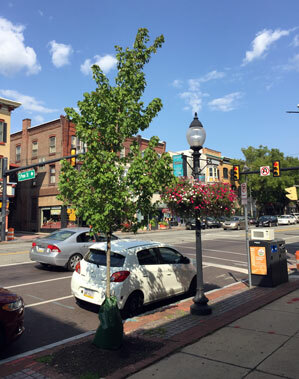 On Tuesday, we opined that nothing has done more to enhance Pottstown's environment and quality of life than the street trees planted in recent decades. 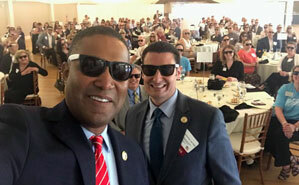 About 160 Pottstown business and civic leaders attended an economic pep rally last week at Sunny Brook Ballroom sponsored by the Tri- County Area Chamber of Commerce and its partner, Pottstown Area Industrial Development Inc. (PAID). The rate of death from all causes for children and youth has steadily declined for decades, to about a tenth of what it was in 1935. Just since 1990, child mortality rates have fallen by nearly half. 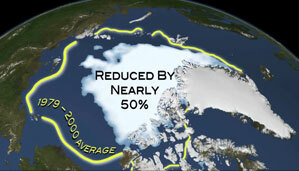 Last week, the journal Nature reported the rate at which Antarctica is losing ice has tripled since 2007. The New York Times relegated the story to an inside page, and most news outlets didn’t cover it at all. Likewise, reports of a steep decline in Arctic ice since 1979 have been given scant attention. reduce global warming, ranked in order of impact. Surprisingly, No. 3 is reducing food waste. 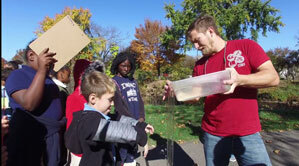 Pottstown students won a national competition by doing something about it. 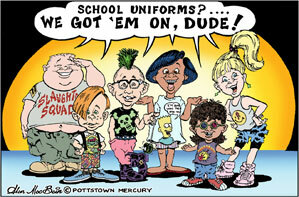 Today is the last day of school for Pottstown students. It is also the last day you will see our students in grades K-8 wearing uniforms — solid color tops and bottoms in white, blue or khaki. 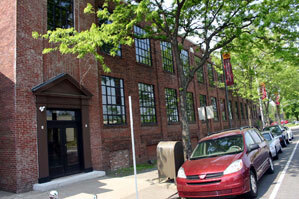 The Pottstown Mercury building will be closed at the end of this month. 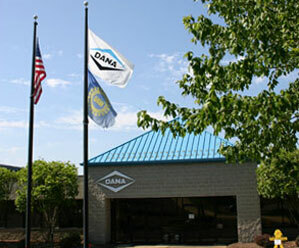 The few employees putting out the newspaper will work out of their homes or at the newspaper’s printing plant in Exton. Note: This column did not appear in The Pottstown Mercury. 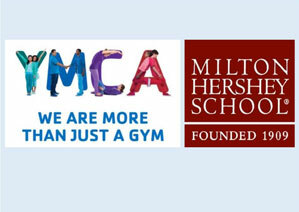 Surprising but true: Both the Pottstown YMCA and the Pottstown YWCA were founded by John Meigs, second headmaster of The Hill School, and his wife. Work has begun on a $15.1 million renovation of The Hill School’s Dining Hall, to be finished in January 2019.
on North Adams Street and lease part of the building back to the YMCA for at least five years. 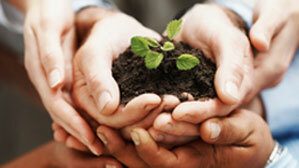 Just what is a non-profit? 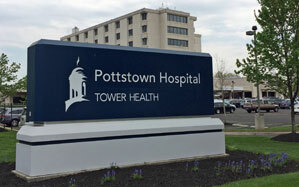 Pottstown Memorial Medical Center, which paid local taxes for years, has become part of Tower Health System, a non-profit, which immediately filed for tax-exempt status with the county. This year, Pennsylvania provides nearly $6 billion in basic funding for Pennsylvania’s 500 school districts. 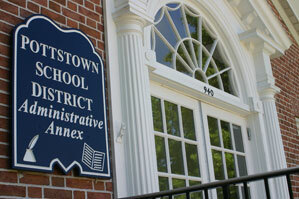 Next month, the Pottstown School Board is expected to increase real estate taxes 3.5 percent. 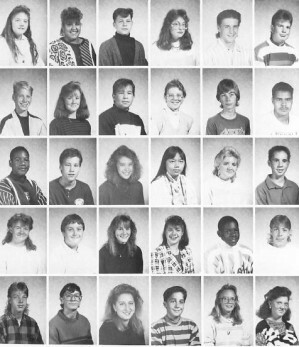 A veteran teacher lists 10 things teachers did not have to deal with just a decade ago. It’s not surprising that people tend to feel more grateful and content as they age. Life is precious, and the closer we come to the end of it, the more we appreciate what we have. 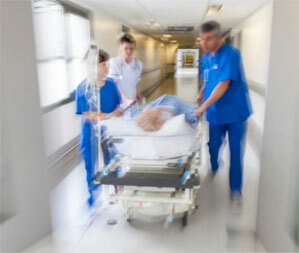 Hospital can't pay its taxes? Montgomery County Board of Assessments. 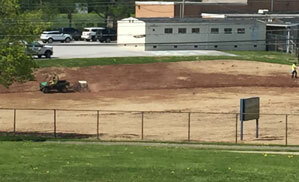 Last year, the Pottstown School Board agreed to convert 3 acres of grassy swale next to the Edgewood School into a meadow, which is better for the environment and less costly to maintain. Time for the attorney general? 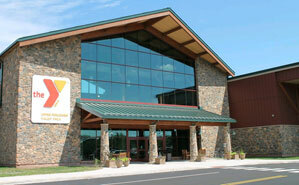 The Pennsylvania Attorney General has vast powers to oversee the YMCA and other Pennsylvania non-profits. Late this year or early next year, downtown Pottstown will become a lot more attractive to investors. 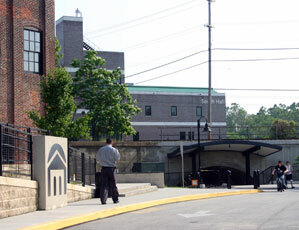 There are several entrances to Pottstown, but the most important one is South Hanover Street. After more than a decade, it will be great to see the gateway project completed. 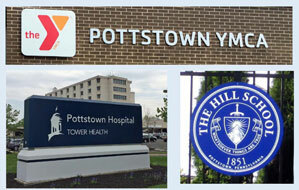 top employers for years, and closing the local Y will cost Pottstown desperately needed jobs. The official statement of the Pottstown Branch Transition Committee (YMCA Task Force) is so superb we are publishing it here in its entirety. If we believe local school districts are best qualified to make educational decisions, that should include the flexibility to set graduation requirements. We're closing. No input wanted. The Philadelphia Freedom Valley YMCA continues to insist there is no hope of keeping the Pottstown YMCA building open beyond June 29. 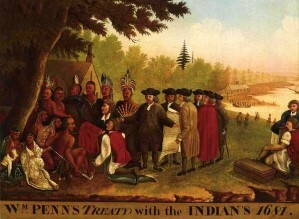 A community task force was instructed not to question the decision. 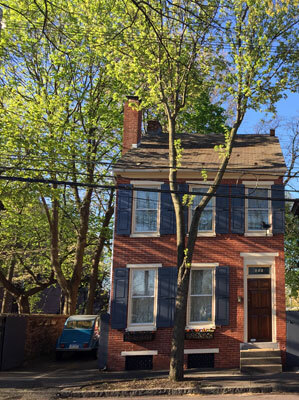 It’s been more than five years since an American Federal-style house at 548 Manatawny Street, built in 1807 by farmer Jacob Levengood, was threatened with demolition. 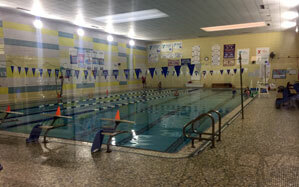 Why does the Pottstown YMCA need to close? Conflicting information has been offered by Shaun Elliott, CEO of the Philadelphia- Freedom Valley YMCA. 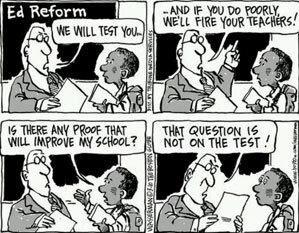 We need to put the individual student first and subjects second. Building relationships is more important than anything else. To do that, we must limit the number of students each teacher sees. 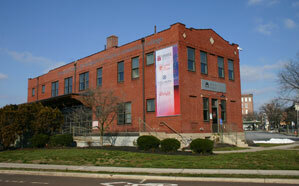 Renovations will soon begin to one of Pottstown’s most historic factory buildings. The 19th century Meyerhoff Shirt Factory, Charlotte and Cherry streets, will be converted into 27 condominiums and market rate apartments. 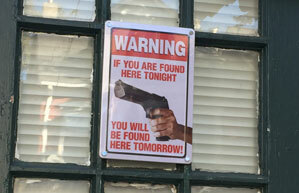 those in any upscale city neighborhood. 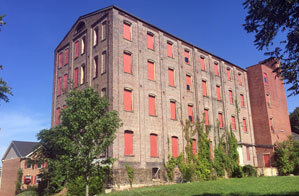 Restoration of the shirt factory is another step forward. 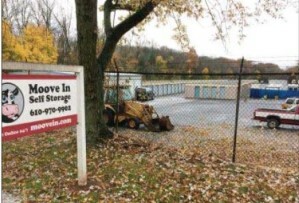 Last month, the YMCA announced it would move its day care service to a Lower Pottsgrove business campus rather than stay in Pottstown and lease a vacant school building. and giving direction. 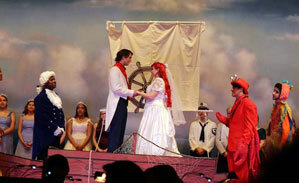 Putting together a musical can be far more difficult than running a business. 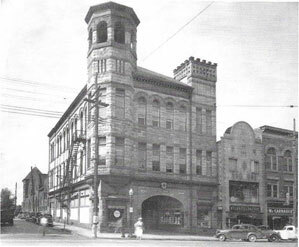 Pottstown’s YMCA goes back to 1880, at first using rented rooms. 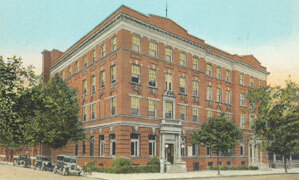 In 1912, Dwight Meigs, Hill School headmaster and president of the YMCA, oversaw the construction of a capacious facility at King and Evans streets. Is YMCA selling out its mission? The Philadelphia Freedom Valley YMCA has prospered mightily since a 2013 merger which created a four-county, two-state giant with 140,000 members and 15 branches. 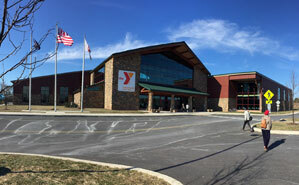 YMCA officials said there would be no layoffs or closures. 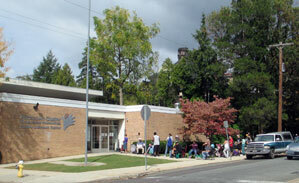 YMCA closure: A done deal? 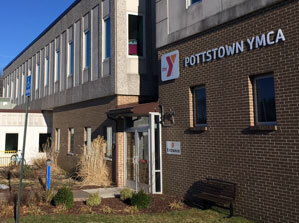 Last fall, without any prior warning, the Philadelphia Freedom Valley YMCA announced it was closing the Pottstown Y as of June 29, 2018. 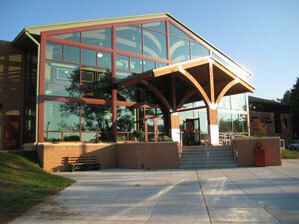 In 2007, the Pottstown YMCA board voted unanimously to merge with the Phoenixville Area YMCA. The merger was supposed to strengthen both organizations. Nobel laureate Gunter Blobel died last week in Manhattan. 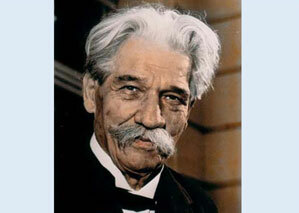 Blobel’s discoveries in cell biology greatly advanced medical researchers’ understanding of numerous diseases, including many forms of cancer. 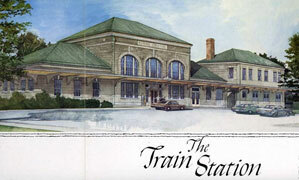 His efforts to restore humanity’s shared architectural heritage can inspire us in Pottstown. 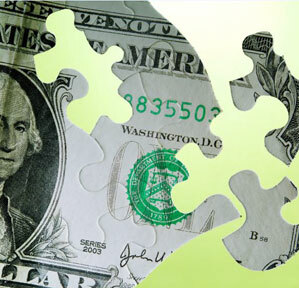 People accumulate wealth as they age, so those 65 and older have the greatest net worth. As the elderly contemplate the end of their lives, their thoughts may turn toward sharing their wealth with their community. We want it. They don't. Last month, at a joint meeting of Pottstown Council and the school board, PAID director Peggy Lee-Clark talked about efforts to bring new development to Pottstown. Meanwhile, proposed developments in formerly rural townships surrounding Pottstown bring out residents opposed to more houses and shopping centers. The only surefire way to conserve farmland outside of Lancaster and York counties, which have a strong agricultural ethic, is by purchasing deed restrictions — easements —from property owners. 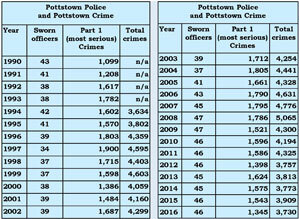 The number of major crimes in Pottstown in 2017 was lower than it has been in the previous 24 years. 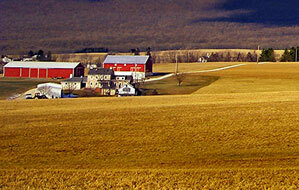 We all love to complain, but we lead comfortable lives that would amaze our Pottstown ancestors. 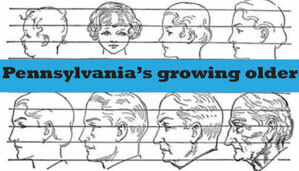 Already home to one of the nation’s oldest populations, Pennsylvania will see its elderly population — age 65 and older — grow almost 24 percent in the next ten years while the working age population will actually decrease slightly. 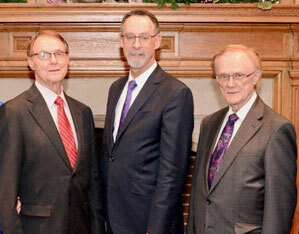 The coming increase in elderly residents is good news for Pottstown, because our borough is a great place for seniors. 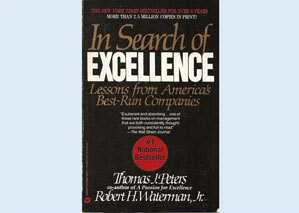 Managers don’t hesitate to reduce staff to keep their companies competitive. 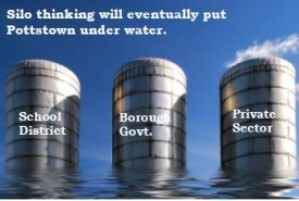 Government is different. Our elected leaders find it immensely difficult to downsize, ever. Last November, the school board voted it will not raise taxes more than 3.5 percent for the 2018-2019 school year. 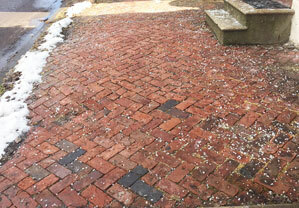 The recent ice and snow is mostly gone now, but the salt we’ve poured on our streets and sidewalks is still around. Just as too much salt in our diet can be unhealthy, too much salt on our roads and sidewalks can be bad for the health of our environment. 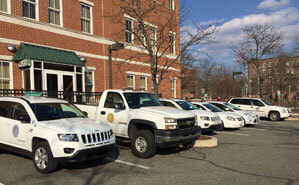 was Pottstown’s police chief before becoming borough manager, would naturally see police cars as the borough’s most pressing need. Is it? Perhaps the most useful of all the arts are buildings. Buildings not only provide us with shelter – keeping us warm in the winter and cool in the summer – they can enrich our lives if they are beautiful and inspiring, just as painting and sculpture and poetry do. 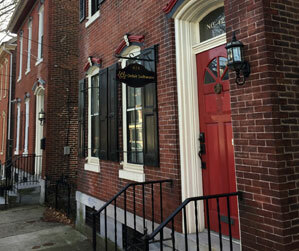 No single law has done more to revitalize older cities and towns like Pottstown as the 1984 historic preservation tax credit passed during the Reagan administration. Our congressman, Ryan Costello, recently voted to abolish it. After three years of meetings, it looks like Pottstown Council and the Pottstown School Board will adopt a Sustainability Plan at their joint meeting Jan. 22. 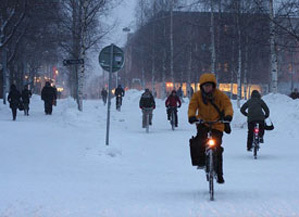 Too cold to walk or bike? 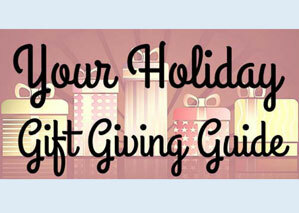 This is the time of year when people give the most to charities. We've paid the annual household bills, and now we decide how much we have to spare for others. 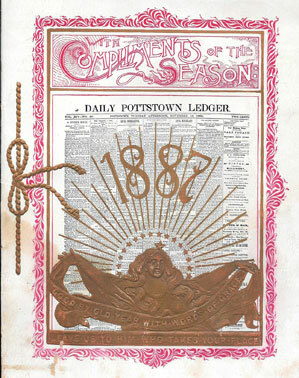 Some years ago my friend George Wausnock, perhaps the area's biggest collector of Pottstown memorabilia, gave me an 1887 New Year's Day supplement to the Daily Pottstown Ledger. 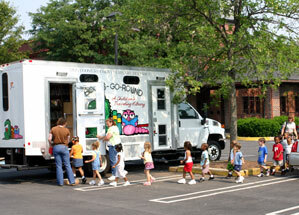 In the last 15 years, the borough has received nearly $22 million in federal, state, county, and private grant funding. 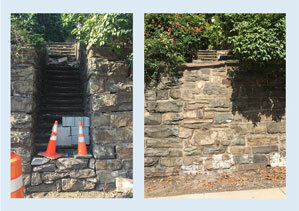 Grants are vital to the sustainability of Pottstown, providing vital infrastructure improvements. 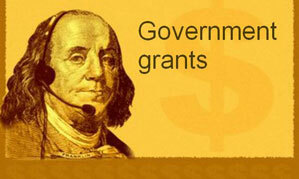 But some grants do more harm than good, paying for superfluous projects that are costly to maintain. 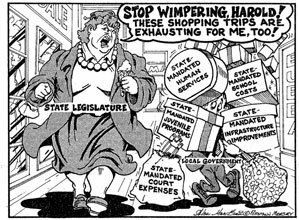 The state legislature can be as irresponsible as it wants, but local school districts and municipalities still have to follow the rules it sets down. 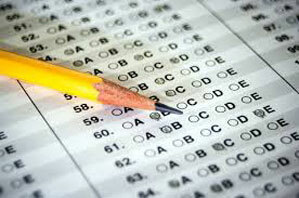 spring administering the Pennsylvania System of School Assessment test (PSSA). 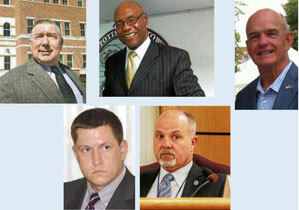 In 2008, the borough laid off 12 employees and increased real estate taxes 10 percent. 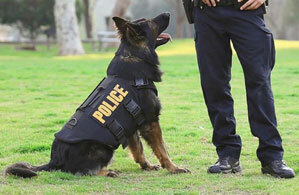 Since then, Pottstown police officers have enjoyed the borough’s fastest growing salaries and benefits. It’s a question no one wants to answer, but it must be asked. 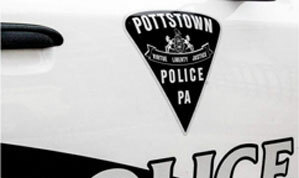 With the ever-increasing cost of salaries and benefits, coupled with a declining tax base, can Pottstown sustain a police force with 46 officers? At the same time it deals with a huge budget deficit, Pottstown Council will also need to appoint an interim borough manager to replace Mark Flanders, who is retiring on Christmas Eve. During my 21-day trek from door to door prior to the recent Pottstown School Board election, I learned many things about our town I never fully appreciated. One such aspect is dogs. Pottstonians love dogs. Welcome -- No, go away! In my futile quest for glory as a three-term member of the Pottstown School Board, I recently got to experience our town up close and personal. 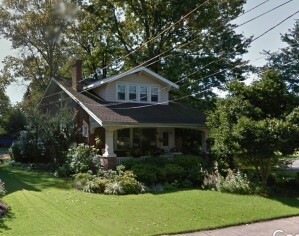 You can learn a lot about people just by looking at their front porches and yards. Leo Durocher got it wrong: Nice guys don’t always finish last. 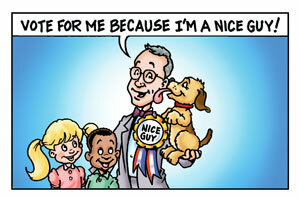 More often than not, they win local school board elections. 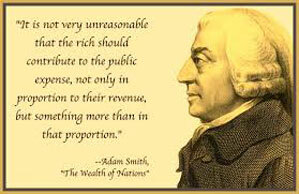 And once in office, they find it much easier to raise taxes than to cut costs. I can’t say I’m delighted with the outcome of Tuesday’s Pottstown School Board election, but I thoroughly enjoyed the three weeks I spent prior to Election Day walking from home to home distributing my campaign literature. 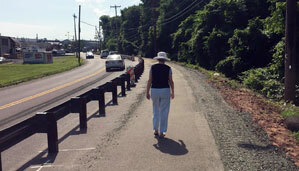 One of the most stubborn myths about Pottstown is that it’s dangerous. 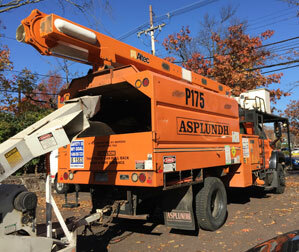 Last month, Asplund was fined a whopping $95 million for using undocumented immigrants. Let us pause in our discussion of current Pottstown issues and consider the reflections of an eminent world scholar on "the good life." Last month, President Trump addressed the United Nations and threatened to “totally destroy North Korea,” a nation of 25 million people. At times like these I reflect on a teacher who preached the polar opposite. 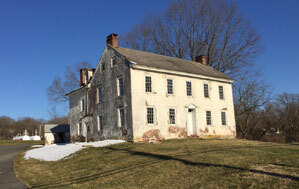 Pottstown is more than a collection of older buildings, most of them housing people of modest means. 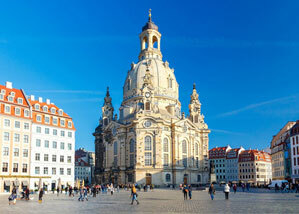 Our history and architecture give us our unique sense of place and identity. I’m not Catholic, but I consider the Rev. 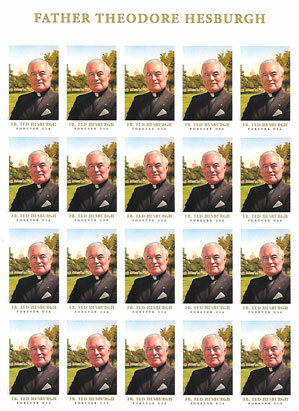 Theodore M. Hesburgh, the former president of the University of Notre Dame, who died 2015, to be one of the most influential people in my life. 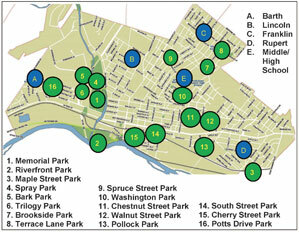 boasts 16 parks and tot lots, distributed throughout the borough. Yet you will often find kids playing on private fields, parking lots, or in the streets. and Charlotte streets.) Ideally, streets should be repaved every 12 years — about five miles a year. But until recently, we were only resurfacing an average of 1.5 miles per year. 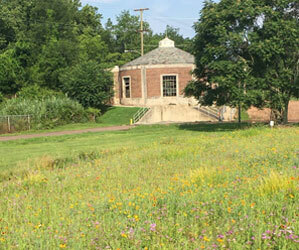 Two great examples of green infrastructure are a meadow planted last spring at the Pottstown wastewater treatment plant and a rain garden planted behind the Franklin Elementary School. 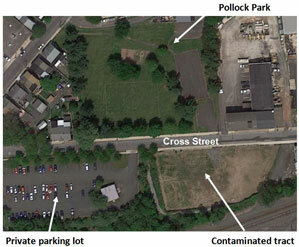 Last month, Pottstown Council authorized the borough solicitor to prepare an agreement to acquire a .78-acre tract of contaminated land at 860 Cross Street, across the street from 2-acre Pollock Park. 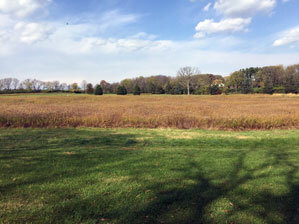 It ought to become a meadow. Because of declining real estate assessments, the borough and school district will lose nearly $1.5 million in annual tax revenues, most likely starting Jan. 1, 2018.
has yet to make any substantive improvements to the neighborhood or to Pottstown. Green infrastructure calls for removing as much impervious surface as possible and installing trees and other water-absorbing plants in its place. 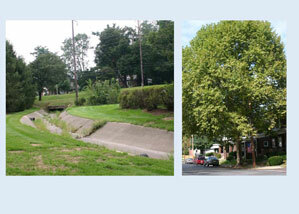 Removing excess impervious surfaces, such as Pottstown's "tree park," is the least costly and most effective way to reduce runoff. The most common source of local government revenue is the real estate tax, based on the value of a property. But there’s no correlation between the value of real estate and the amount of runoff it causes. An additional feature of a stormwater runoff fee would be its application to tax-exempt properties. Because a stormwater runoff fee is not a tax, tax-exempt properties would have to pay it. 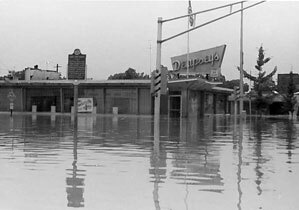 For those of us who were around in 1972, the catastrophic flooding in Houston last week was a reminder of Pottstown’s own monster flood caused by Hurricane Agnes. With climate change and ever more natural areas being paved over for development, flooding will be far more common in the future than it has been in the past. 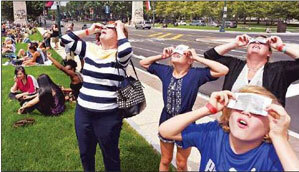 Millions of Americans — and thousands of Pottstonians — experienced real science last week as they looked skyward to view the solar eclipse. The controversy over monuments glorifying the Confederacy reminds me of one of Pottstown’s finest qualities: racial diversity. 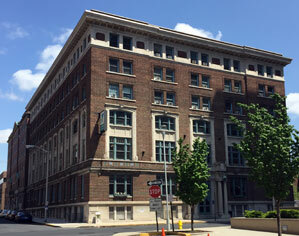 Rockwell Development Group, which manages the Hanover Square townhouse development at Hanover Street and the Industrial Highway, proposes to convert the historic Meyerhoff shirt factory into 28 market rate condominiums. 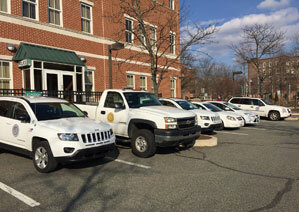 Many people think that Pottstown has a parking shortage. 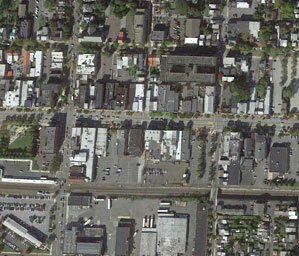 In fact, Pottstown has a surfeit of parking — more than two spaces for every man, woman, and child in the borough. Our tax base has been steadily declining for 20 years, and we desperately need more revenue-generating businesses. Pottstown’s first asphalt sidewalk, 95 feet long, has been installed at the Mosaic Community Garden on North Charlotte Street at Walnut Street. Today, thanks to the internet and enlightened public policies, we can easily access a wealth of public information about our county, school district, and borough. 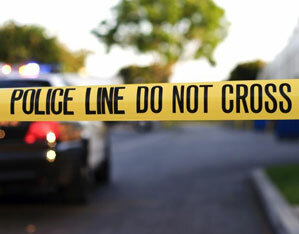 Fatalities involving cars and trucks are more than twice as common in Montgomery County than those from crime, and they almost always involve strangers. Excessive speed is by far the leading cause of serious injuries and fatalities involving all kinds of motor vehicle collisions, either with pedestrians, bicyclists or other autos. that physical changes to the streets are needed to force motorists to obey posted limits. About half the residential properties in Pottstown are rental units, which many citizens think are a major source of Pottstown’s problems. 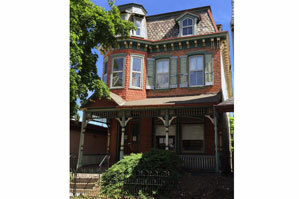 Perhaps no other building illustrates Pottstown’s real estate quandary better than 323-325 King Street. Educating Pottstown students is very important. But how many of our graduates are going to stick around and contribute to the sustainability of our community? 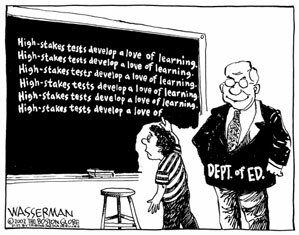 Figuring out how to keep our school district viable in the face of ever-increasing costs and diminishing resources is going to take a lot of research and creativity. But we're not talking about that. 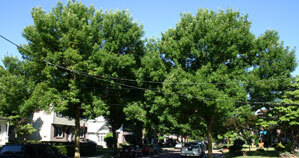 There will soon be a substantial number of mature trees dying throughout Pottstown. There’s been a dramatic change at the east end of High Street. 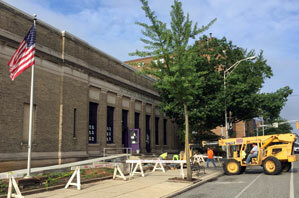 Seven huge maple trees in front of the old Memorial Hospital building have been removed. 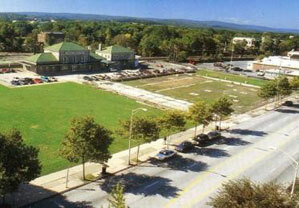 We’re kidding ourselves if we think schools alone are going to transform Pottstown. They aren’t. 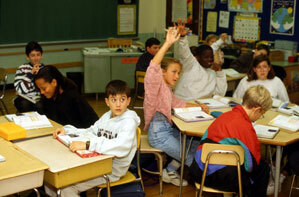 Schools are a reflection of the demographics of their community. How many will settle here? It’s great to prepare our students for life, but how many are going to stay here and contribute to the sustainability of our community? district — spends in Pottstown each year and where the money goes. As we try to encourage more professionals to live in Pottstown, the Pottstown School District has implemented a residential homeownership initiative through the Foundation for Pottstown Education. 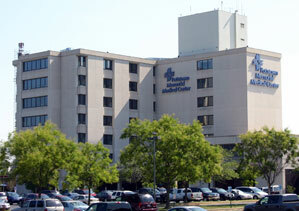 Pottstown Memorial Medical Center is the school district's biggest taxpayer, by far. With the sale of the for-profit hospital to the non-profit Reading Health System, will the new owners now seek a property tax exemption? 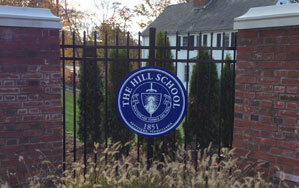 How does a non-profit like The Hill School qualify for a real estate tax exemption? 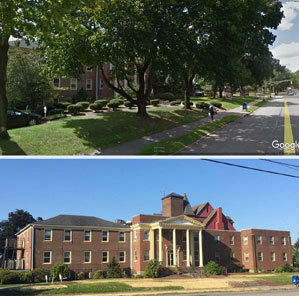 Early in 2016, The Hill School announced a neighborhood revitalization initiative. Pottstown Borough government and the school district need to become more efficient. 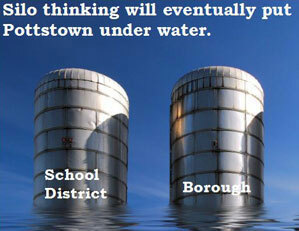 But Pottstown has other resources it could tap. 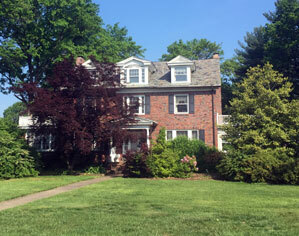 The most valuable real estate in Pottstown is The Hill School. Most of its property is tax exempt. Otherwise, its tax bill would top $2.3 million. 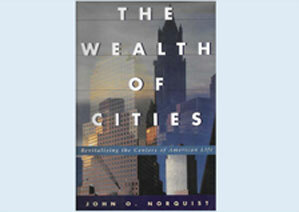 John Norquist, former 16-year mayor of Milwaukee and longtime advocate for cities, has published a compelling book about the natural advantages of cities (and towns like Pottstown). 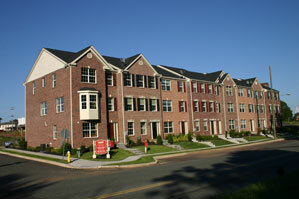 Mirroring national trends, Pottstown lost most of its middle class residents to new homes on large lots outside of town. 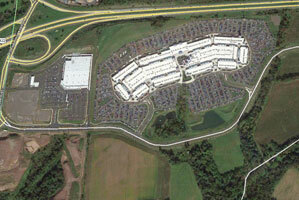 It lost its stores to new suburban malls and with ample free parking. Despite the rise of sprawling development that undermined traditional towns like Pottstown, there are major economic, demographic, and environmental trends that now favor us. 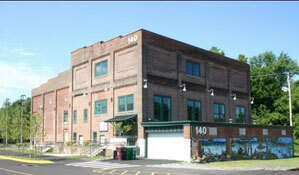 Furniture warehouse on Beech Street, was purchased by a non-profit housing company and renovated into 43 apartments and an arts center. former Reading freight station on South Hanover Street. 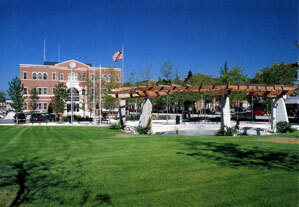 A new borough hall was built downtown in 2000, and an adjacent town park, called Smith Family Plaza, was completed two years later. On the east side of the park, the 1880 Security Trust Building was renovated as offices and a restaurant in 2006. Community College expanded north of the railroad tracks to the newly re n o v a t ed Vaughn Knitting Mills building on High Street. After losing downtown stores for two decades, Pottstown replaced that retail space with the construction of a new shopping center on Route 100. Meanwhile, a gaping hole downtown was sold for the construction of a new borough hall. The Pottstown community pulled out all the stops to persuade the county commissioners to place a satellite campus of the Montgomery County Community College in the borough, near a newly-constructed riverfront park. 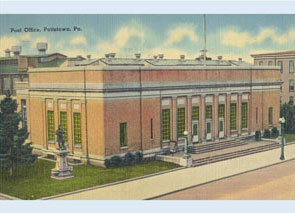 Pottstown manufacturing jobs continued to nosedive in the 1980s, and more historic buildings, like the 1923 Pottstown High School, above, were demolished. 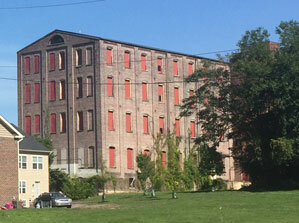 Spurred by the demolition of historic buildings, Pottstown adopted national and local historic districts and began restoring icons like the Pottstown Roller Mills, above. 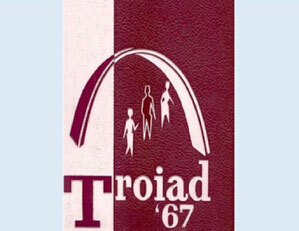 The 1960s might be considered Pottstown’s golden era. 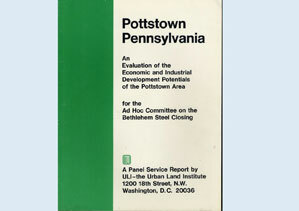 But even as Pottstown prospered, there were signs of decline in the 1970s. We love plans in Pottstown. 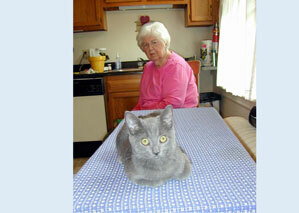 At least 20 of them have been adopted by borough government and nonprofits during my 45 years in the borough. 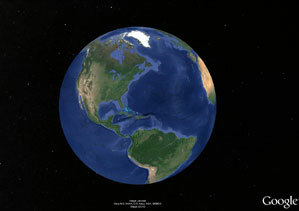 Thanks to Google Earth and its ground-level cousin, Street View, you can tour 40 countries all over the globe from the privacy of your own home. Anyone with a computer can download it free. There’s another fascinating way besides Google Earth to tour faraway places from the comfort of home, thanks to intrepid Dutch traveler Kees Colijn and YouTube. Last year, the Pottstown School Board set aside time at its meetings in February, March and April for cost-cutting suggestions. No one had any. Let me make a few. credible test that has measured student achievement consistently since 1970 -- the National Assessment of Educational Progress. 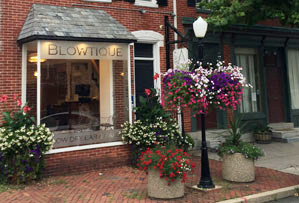 Exorbitant taxation has deterred many prospective businesses and residents from moving into Pottstown. 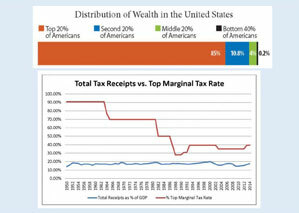 We can't afford to raise taxes any higher than they are now. Next month, Pottstown students in grades three through eight will be taking the annual PSSAs, the Pennsylvania System of School Assessment tests. 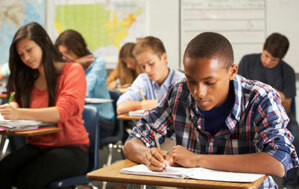 What does state testing mean? Although PSSA tests are supposed to make schools accountable, the state doesn’t provide much guidance in interpreting scores. 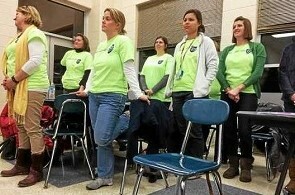 Pottstown educators engage in " silo" thinking: "Whatever I’m doing is more important than everything else.” But the people who are footing the bill, the residents and property owners of Pottstown, have their own priorities. Major crimes were down 14 percent in 2016 over the previous year, Pottstown Police told The Mercury last week. 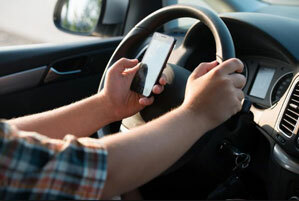 After falling for decades, motor vehicle crash fatalities are increasing again, nationwide and in Pennsylvania, thanks in part to more motorists reading or sending text messages while driving. 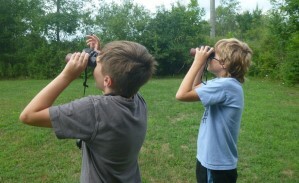 The Natural Lands Trust is partnering with NorthBay, an outdoor education group, to immerse Pottstown elementary and middle school students in the natural world around them. 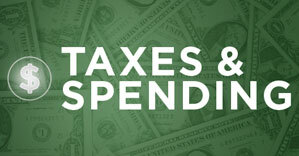 Facing a deficit of at least $1 million in the upcoming school year, and with the third highest taxes in Pennsylvania, we should pause our discretionary spending on athletic fields. Back in 2015, Pottstown’s representative in Congress, Ryan Costello, was one of just 10 Republicans to sign a resolution declaring that human activity contributes to climate change and calling for action to respond to the threat. Now that Donald Trump is president, Rep. Costello is changing his tune. 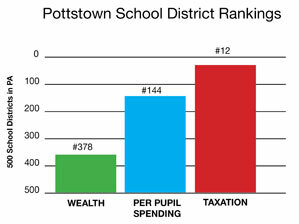 The Pottstown School District now has the third highest taxes of Pennsylvania’s 500 school districts. 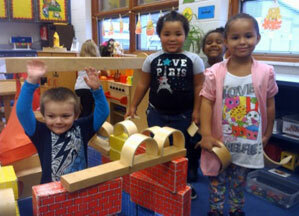 We want to offer the best opportunities possible for our children. But we also must live within our means. 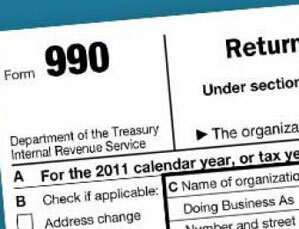 We cannot afford to raise taxes this year. We must cut spending by doing things differently. 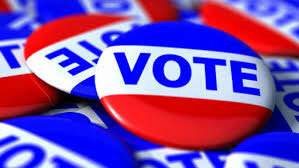 The most important state event of the year takes place today, as Gov. Tom Wolf unveils his proposed budget for the 2017-2018 fiscal year. Save a farm. Live in a town. 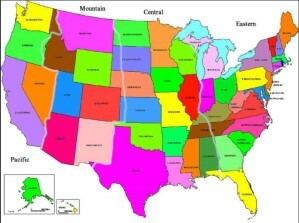 only way to accommodate population growth while conserving farmland. 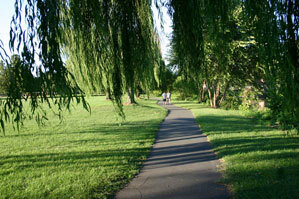 Trails allow people to enjoy the countryside and get healthy exercise at the same time by walking or biking through it. 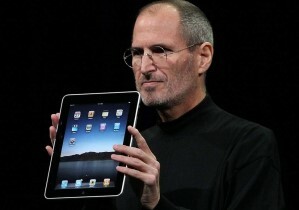 It’s amazing how quickly we take technology for granted. 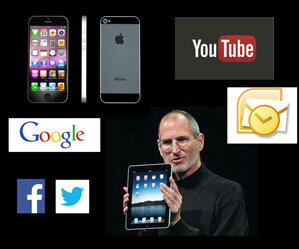 Apple introduced the iPhone just ten years ago. Yet three-quarters of all Americans now own smart phones. reclamation and redevelopment of blighted properties. market rate prices for a profit. We just need to find investors with good business acumen. 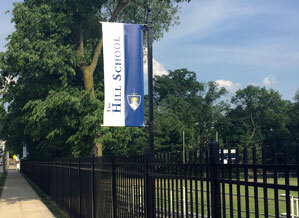 As part of a fundraising campaign, The Hill School has identified an area surrounding the school campus which it hopes to revitalize by partnering with residents and property owners. 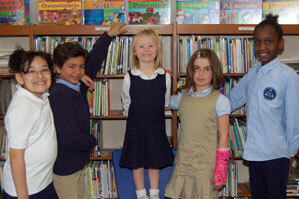 The Hill School has a significant handicap in comparison to its peers. 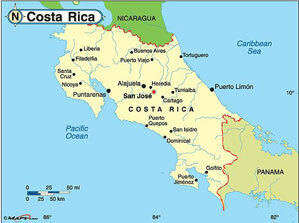 Other schools are located in an idyllic village, or in the woods, or in the countryside. Although Pottstown is struggling with a steadily declining tax base, the borough’s largest property owner is growing. 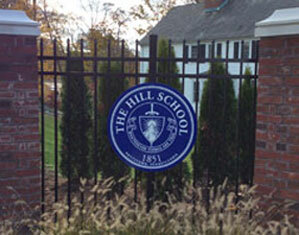 The Hill School has launched a campaign to raise $175 million over a five-year period. Terrorist attacks in Orlando, Berlin, and Brussels. The threat of ISIS. Mideast refugees flooding into Europe. These stories dominated the headlines in 2016. But the real threat is climate change. Last month, Borough Council passed a $52.6 million budget for 2017. Nearly all this money is aimed at keeping existing borough services. There's no money for improving the appearance of our town. 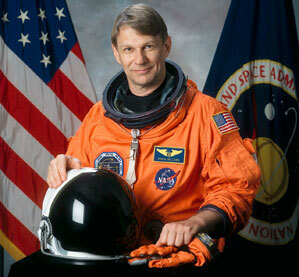 Just before Christmas, NASA scientist and former astronaut Piers Sellers died of pancreatic cancer. bills, and now we decide how much we have to spare for others. On Tuesday, we discussed donating to charity, focused on Pottstown. But the neediest people don’t live here. As long as people want to live on scattered housing lots and drive for all their daily activities, open land will be consumed and ever more traffic will be generated on our roads. 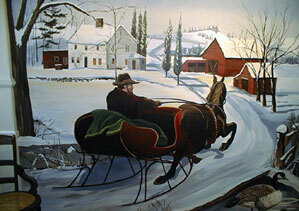 Let us pause in the pursuit of the latest electronic gadgetry for Christmas and contemplate a calmer, simpler time in America: John Greenleaf Whittier's "Snow-Bound." 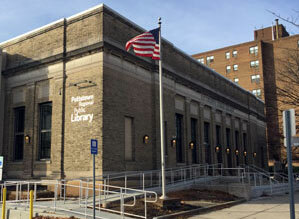 The Pottstown Regional Public Library, the borough’s most cost-effective public institution, celebrated its reopening the first day of December. 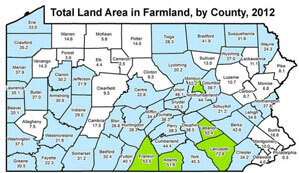 Pottstown’s tax base continues to fall. As of Jan. 1, 2017, the total assessed value of Pottstown’s 8,380 taxable properties will be $803,730,299, nearly $2 million below last year. mind’s made up.’ That's a way of life for most people. 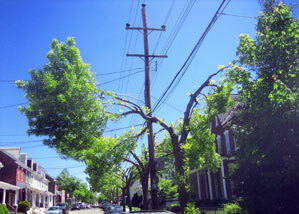 PECO is currently trimming street trees in Pottstown to clear its wires. The utility generally trims trees every five years, and the results aren’t pretty. A 2007 study by a team of economists commissioned by the United Nations concluded that assets of $517,601 or more places a household in the top 1 percent in the world in wealth. It’s easy to think most of us are worse off than previous generations, but this ignores the enormous improvements in life we quickly take for granted. 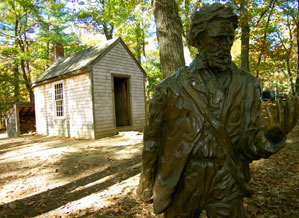 Henry David Thoreau's philosophy of simplicity, reflection, and appreciation of the natural world is a refreshing break from the commotion of the internet. In this age of technologically savvy young people who develop ingenious internet businesses and sell them for millions, it’s interesting to find one who also values simplicity. Riparian buffers are used along the banks of streams and rivers to prevent water runoff and to control erosion. 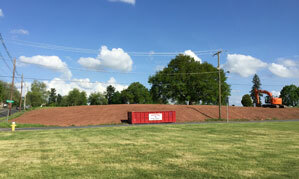 Riverfront Park is replacing its buffer with grass. Humans have removed half of the planet's trees since the beginning of civilization 5,000 years ago. 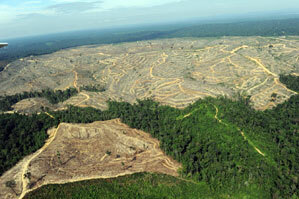 As deforestation continues, we are losing an area four times the size of New Jersey every year. 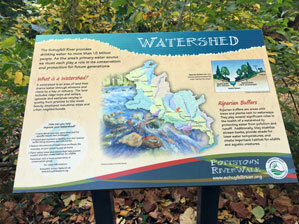 Pottstown has its own deforestation project going on at Riverfront Park. The woods on either side of the walking trail have been replaced with grass. 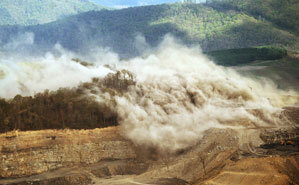 We have always taken our natural environment for granted. To prevent irreversible and perhaps catastrophic climate change, we must start protecting it. Taxes, immigration, jobs, personal character — these are the issues dominating the 2016 presidential election. 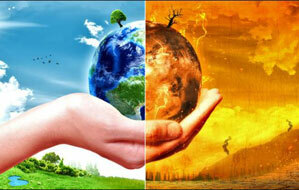 But the biggest issue is rarely mentioned -- climate change. Edgewood Cemetery looks better than it has for years, if not decades. 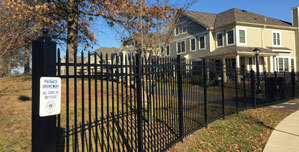 Fencing in cemeteries diminishes their value as open spaces and passive parks. Everyone knows we’ve had a technological revolution in recent decades, but you’ve probably had to live through it to fully appreciate it. 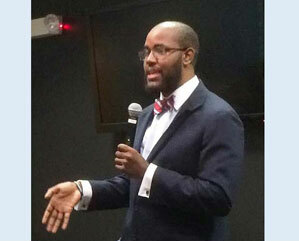 The third PottsTOWN Talks will be held 7 p.m. next Tuesday at Connections on High to discuss education. Participants should not shy away from hard questions. 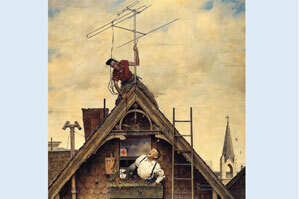 Today's public schools emphasize specialization. 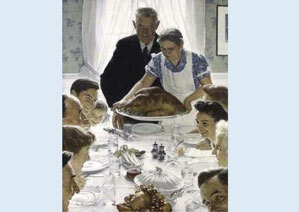 But for centuries, children and youth have learned all the essential skills from family tutors. 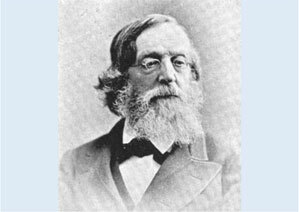 James Freeman Clarke is a famous example. 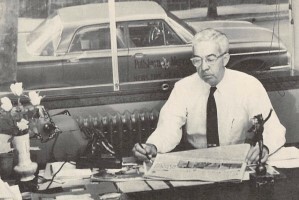 Educator and teachers' union president Albert Shanker wrote more than 1,300 columns as weekly advertisements in the New York Times. Here's a sample. 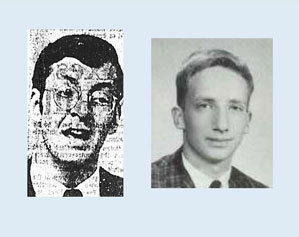 There are two major trends in public schools during the last 50 years. 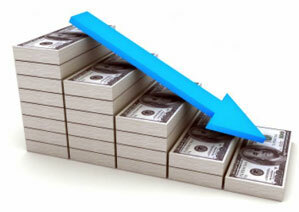 First, rising costs, at more than twice the rate of inflation. 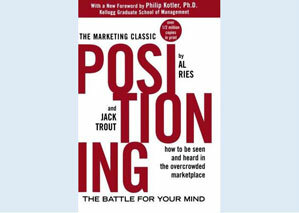 Second, there’s been a huge increase in specialization. 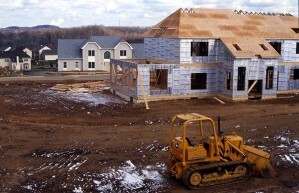 Last month, the Lower Pottsgrove commissioners gave the last approval necessary for another car-oriented, environmentally damaging development called Sanatoga Green to move into the final land development process. Teachers that boosts pay more at the bottom of the salary schedule than at the top. 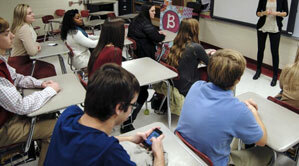 The contract will cost the district $1.4 million in the third year. 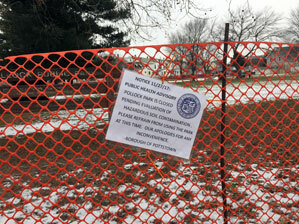 We all appreciate our abundant parks, which cost borough taxpayers $1.1 million annually. Many people rarely if ever use our parks, but they all live on a street. 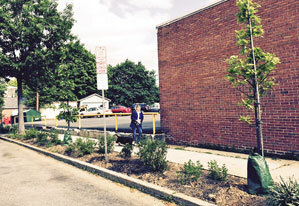 The borough spends little on streets and nothing on street trees and sidewalks. 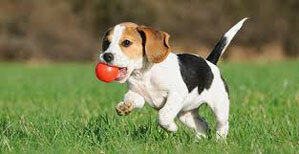 The 6th annual Pottstown Pet Fair is scheduled to begin 9 a.m. Saturday at Memorial Park. But as we’re enjoying our pets at the Pet Fair, we might ask ourselves: Do we really want to eat animals? Ready made for college housing? Now that the renovation of the long-vacant Fecera’s warehouse on Beech Street into apartments is underway, it’s time to look at another of Pottstown’s historic gems: the Pottstown Shirt Factory. Walking or driving down the street, you really can’t tell what a building looks like on the inside. Many property owners show they care — with flowers, trees, and well maintained exteriors. 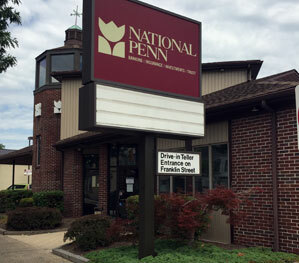 Last month, the National Penn Bank office at High and Franklin streets closed as part of the bank’s $1.8 billion acquisition by BB&T Bank of North Carolina. Hundreds of jobs were lost as the bank cut costs to increase efficiency. 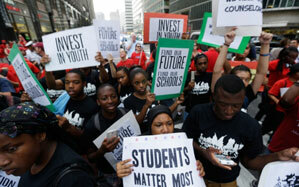 Public schools must also face financial reality. 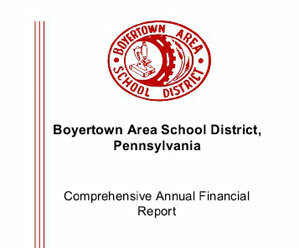 Want to know where $59.5 million in Pottstown School District spending goes? If we school board members are serious about doing our jobs, we need far more detailed budget information than we have now. After an unexpected two-month delay because of change orders, renovations have begun in earnest at the Pottstown Regional Public Library. risen slightly, but homes are still amazingly undervalued. 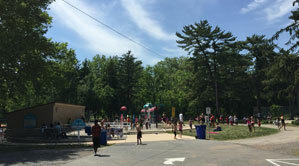 Pottstown parks are heavily used by people throughout the region. 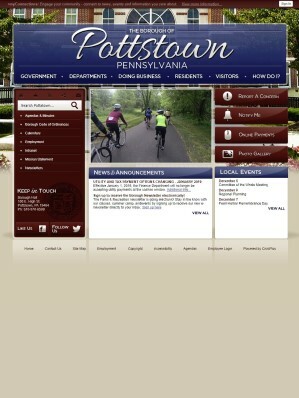 But they are maintained solely with Pottstown taxpayer dollars. 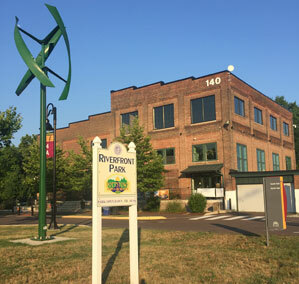 Wyomissing maintains a larger parks system than Pottstown, and maintains 7,646 street trees, at less cost than Pottstown spends for parks alone. 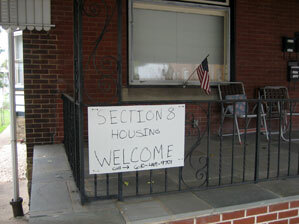 The federal Housing Choice Voucher Program -- colloquially known as Section 8 -- is commonly blamed for the decline of Pottstown's residential neighborhoods. But more likely, it's the other way around. 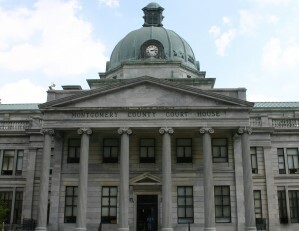 Recently, members of the Montgomery County Planning Commission visited Pottstown for a tour of the borough's success stories. 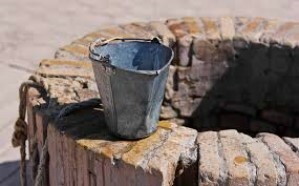 But other prominent areas still need attention. 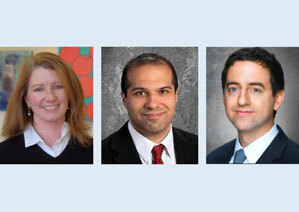 Pottstown school directors will delay their search for a new superintendent until fall. The school district will begin advertising in October with a deadline for submissions at the end of February 2017. Last week the Pottstown School Board unanimously passed a resolution to substantially decrease high-stakes standardized testing in our schools. 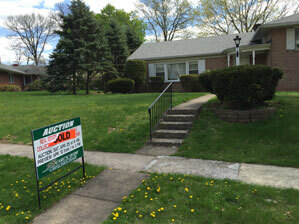 Many houses in Pottstown are selling for below their assessed value. It's little wonder Pottstown has the highest rate of assessment appeals in Montgomery County-- and a sure sign Pottstown's tax base will continue to decline. 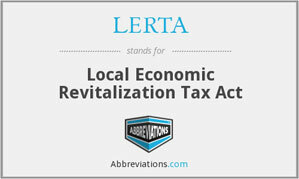 A LERTA ordinance is expected to be adopted by Pottstown Council next month. The ordinance will give seven years of tax breaks to people who improve their properties. 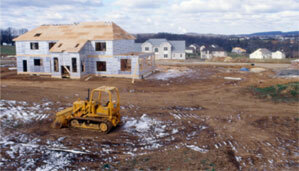 These tax breaks will be subsidized by existing property owners. Dead trees not only mar downtown Pottstown, they afflict neighborhoods throughout the borough. 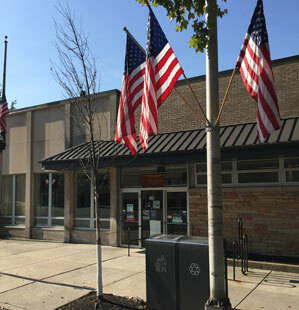 For example, dead trees flank both sides of the front door to the Pottstown Post Office, where thousdands of people see them every month. 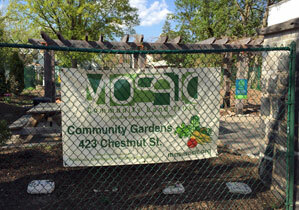 The Mosaic Community Land Trust is marking the first year of its "permaculture garden" at Charlotte and Walnut streets. Community gardens are a vital component of "green infrastructure." 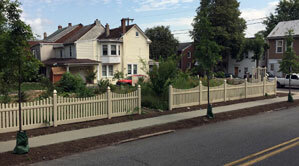 Pottstown's first sidewalk rain garden was planted in May 2015 on the Walnut Street side of the Pottstown School District administration building. A year later, it's thriving. Pottstown's best champions can be those who already live and work here. 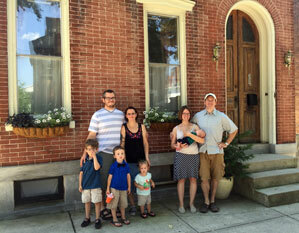 Pottstown Councilman Ryan Procsal and his wife, Athena, enticed Athena's brother and his family to buy a house on their block. 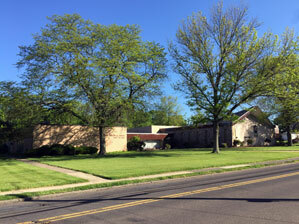 Bethel Community Church and Congregation Hesed Shel Emet have been sharing a landmark 50-year old synagogue building. 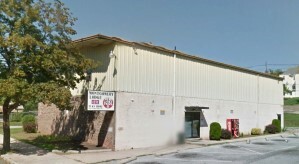 Now Bethel has purchased the building, and Hesed Shel Emet will stay on as tenants. 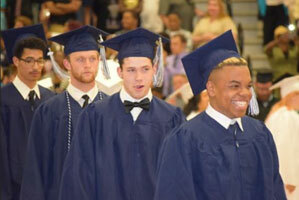 The Pottstown School District has prepared many of its students over the years for leadership positions later in life. We must encourage at least some of them to stay here and contribute to the long-term welfare of our community. The combined budgets of the Pottstown School District and Pottstown Borough total more than $119 million -- an enormous sum for a town of just 22,000 residents. But not all that money comes from the Pottstown real estate tax. In this column, we try to hit the highlights of where all that money comes from. Pottstown Council and the Pottstown School Board have scheduled another joint meeting at the community college sustainability hub. These meetings help both entities to address problems and seek solutions -- something that rarely happened in the past. Last week, The Hill School hosted a lacrosse tournament drawing thousands to its athletic fields. 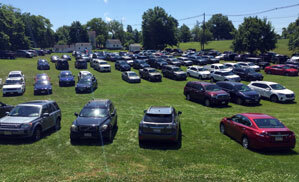 School district administrators offered three acres of free parking on its Edgewood School property. The Hill School's tax exempt status means local taxpayers are alreadysubsidizing the school. 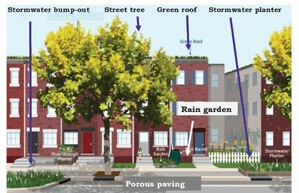 Last month marked the fifth anniversary of an agreement between the city of Philadelphia and environmental regulators to use green infrastructure instead of pipes and holding tanks to prevent polluted stormwater from flooding into the city's streams and rivers. Here in Pottstown, we should pay close attention, because we face the same issues. 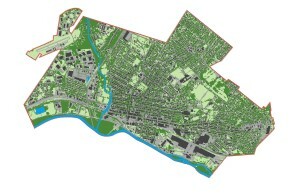 Pottstown is about 5 square miles, and 38 percent of our land is covered with impervious surfaces -- buildings, streets, and parking lots. Too much asphalt is not good for the environment, especially when we need rain to soak into the ground instead of running off into streams and rivers. 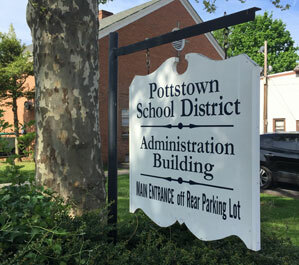 The Pottstown School Board plans to offer professional staff a five-year, $10,000 forgivable loan to buy a home in Pottstown. 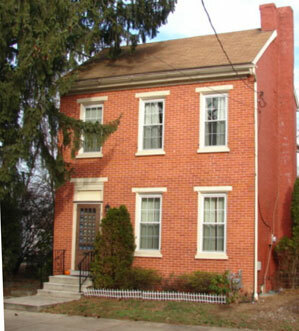 Pottstown is a great place to own a home. 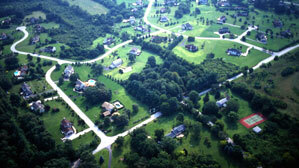 The borough has neighborhoods that equal or excel anything in the area. If you want to measure progress, you need data on what already exists. 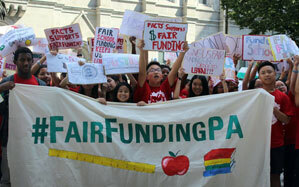 It's time the borough and school district require information and accountability from PAID. 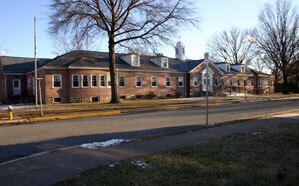 The Pottstown School District's administrative annex building ought to be leased or sold for offices. It is a lovely office building and mostly vacant. During a four-year period of very low inflation, the wages earned by Pottstown Borough's non-uniformed employees have increased about 33 percent. 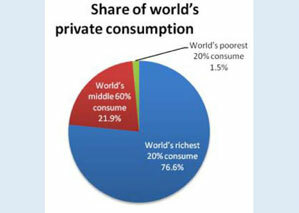 This is unsustainable. 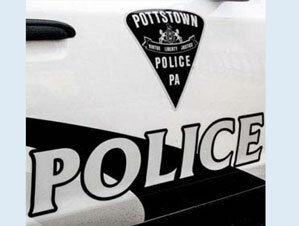 During a four-year period of very low inflation, wages earned by Pottstown Police officers have increased about 33 percent. This is unsustainable. 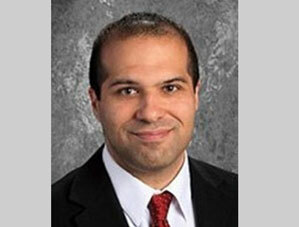 Because of time constraints, the Pottstown School Board will look to appoint Stephen Rodriguez as acting superintendent while the board continues its search for a permanent superintendent. 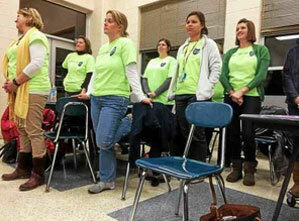 In recent months, Pottstown teachers have been showing up in force at school board meetings to emphasize their solidarity. They seek salary increases. Something the teachers might want to discuss among themselves is why the current salary schedule rewards those at the top at the expense of everyone else. At long last, nine months after buying the Wainman mansion outright, the Pottstown Cluster of Religious Communities will seek a zoning variance to actually use it. The Daniel Boone School District's decision to close the Birdsboro Elementary School shows why Pottstown is better off going it alone. Pottstown Borough recently revised its published 2016 budget with a new version that clearly and comprehensively explains how local government functions and where the money goes. Tomorrow is Arbor Day. Usually this means planting a token tree here and there. But in Lancaster, tree planting is part of a major effort to control stormwater and improve the environment through "green infrastructure." 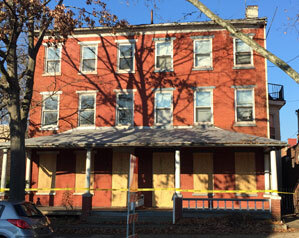 Newcomers to Pottstown are likely to judge us on the appearance of our streets -- especially our main travel routes, such as King Street.When a building is boarded up, it is a glaring source of blight. Although it's more expensive, wouldn't it be better to paint the plywood black and board up the building from the inside, so it doesn't look vacant? 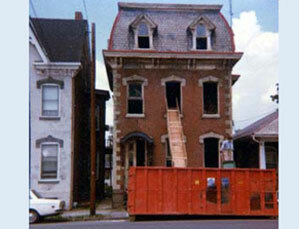 There's a lot of talk about renovating Pottstown's huge inventory of vacant old homes. Hannah Wolfrom, a senior at the Kimberton Waldorf School, is not just talking -- she's doing. 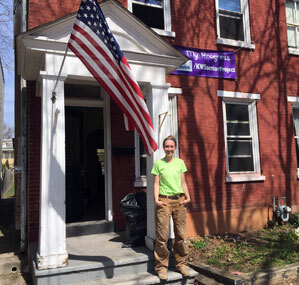 Hannah bought an empty King Street home with an investor and is renovating the house as her senior project. There are three main impediments to the revitalization of Pottstown: taxes, perception of schools, and perception of crime. 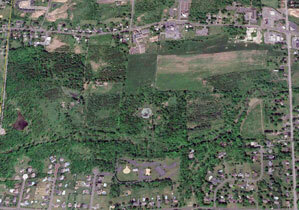 Another car-oriented, environmentally damaging development called Sanatoga Green is planned in Lower Pottsgrove. Pottstown has lost many of its industries and businesses over the last five decades, but none was as painful as STV, originally known as Sanders and Thomas Engineers. 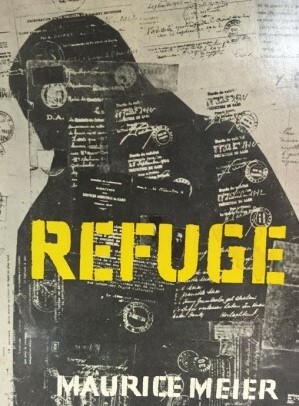 Although it was founded in Pottstown and stayed here for 50 years, the firm moved its headquarters to Douglassville because no one made the effort to keep them here. 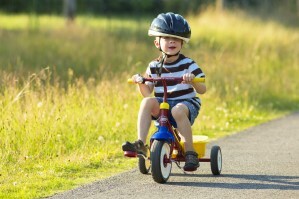 The surgeon general recommends that children need at least 60 minutes of daily exercise. 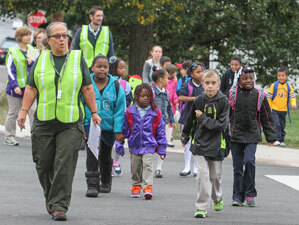 In Pottstown, students -- even kindergartners -- can get that just walking to and from school. 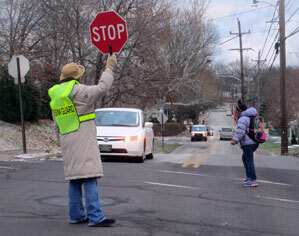 Crossing guards do far more than stop traffic at intersections. They are friendly faces and a calming influence on our student walkers. 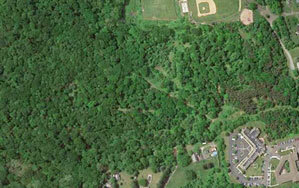 The Pottstown School District is not an island unto itself. Public schools are but one function of government, and the school board should be working together with Council as much as possible. 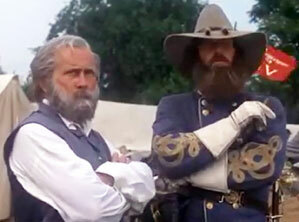 As Gen. James "Pete" Longstreet reminded Gen. Robert E. Lee at Gettysburg, "You can't lead from behind." Members of Pottstown's "leadership class" all live outside Pottstown and are trying to "lead from behind." 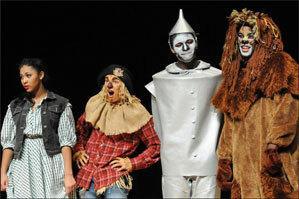 The Wiz demonstrates the amazing things students and teachers can accomplish when freed from the mind-numbing bureaucracy that has enmeshed public education in recent decades. 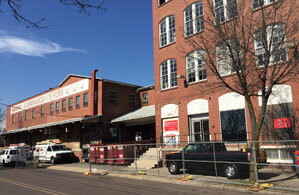 Despite years of roadblocks, the vacant Fecera's warehouse is being renovated as apartments and an arts center thanks to the persistence of the non-profit Genesis Housing Corp.
As the Pottstown School Board seeks a new superintendent from outside the district, Google finds that interviews are often little better than guesswork. 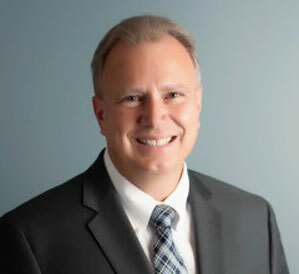 Pottstown School District as it hires its first outside superintendent in more than 50 years: "the family feeling, small is beautiful, simplicity rather than complexity..."
For the first time in more than two generations, the Pottstown School Board is seeking a superintendent from outside the district. Pottstown Borough and the Pottstown School District together are spending $114 million in public dollars this year. 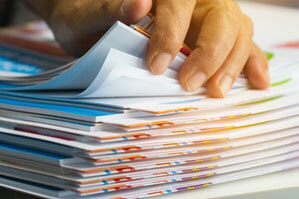 Both entities need to publish clear budgets that explain where all the money goes. 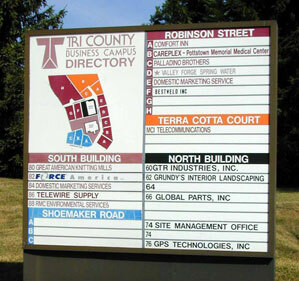 Years ago, Pottstown's top employers used to make things. No more. 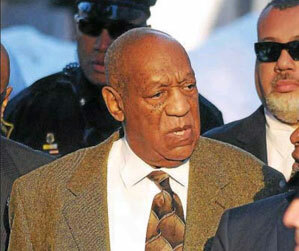 Disgraced entertainer Bill Cosby now knows the importance of putting things in writing. A deal never to prosecute him made years ago recently was thrown out by a judge because it wasn't put in writing. In all facets of life, it's critically important to put things in writing. 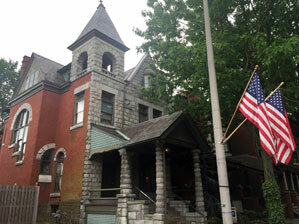 Nearly six months have passed since the Cluster of Religious Communities purchased the Wainman mansion on North Franklin Street. They were quick to obtain a tax exemption for the property, but still have not applied to the zoning hearing board for a variance to use it. 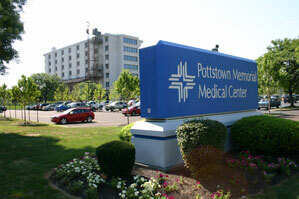 When the non-profit Pottstown Memorial Medical Center was sold to for-profit Community Health Systems in 2003, the hospital became the biggest property tax payer in the borough -- contributing more than $1.3 million in taxes annually. 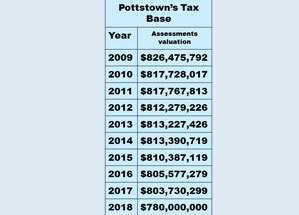 Even so, total assessments and tax revenues in Pottstown continue to fall. Top borough officials are pushing the Pottstown School Board and Pottstown Council to adopt a sweeping LERTA ordinance -- giving property tax breaks to businesses improving their properties. But they haven't done their homework to report on the experiences of other municipalities using LERTAs across the state. Pottstown's most valuable real estate "exempt"
Tax-exempt parcels account for about 20 percent of the total value of Pottstown's real estate. 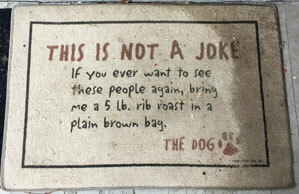 Their owners serve people from a wide area, but the costs are strictly local. 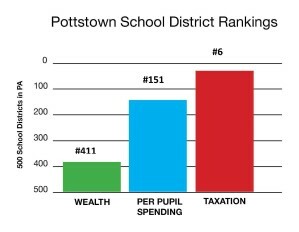 Of Pennsylvania's 500 school districts, Pottstown ranks 378th in wealth, 144th in spending, and 12th in taxes. If Pottstown spent the same, per pupil, as nearby Berks County districts, it could cut millions of dollars from its budget. 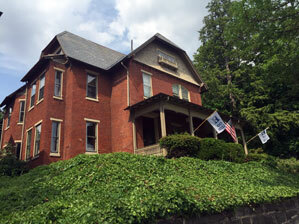 Property values are continuing to fall in Pottstown. 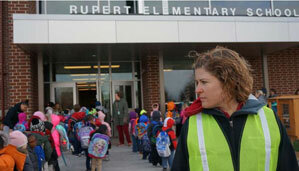 The new assessments that took effect Jan. 1 are about $5 million lower than they were last year. 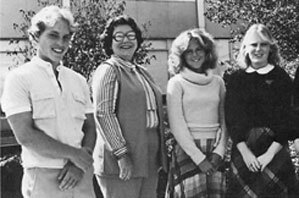 Reflecting national trends, spending in the Pottstown School District has risen dramatically during the last 40 years, at almost triple the rate of inflation. 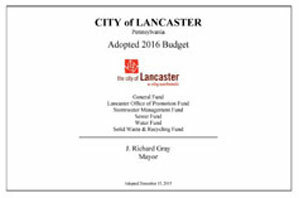 Pottstown Borough and the Pottstown School District should publish comprehensive, reader-friendly budgets as progressive cities like Lancaster do. 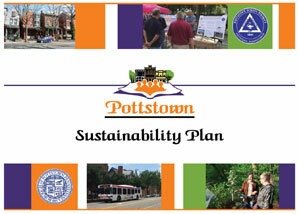 Last year, Pottstown began work on a sustainability plan under the guidance of the Montgomery County Planning Commission. 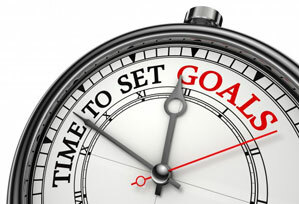 The real work -- listing specific actions -- begins this year. Although Pottstown's economic development organization publishes a business newsletter, it would be helpful to have a compendium of all Pottstown businesses. A recent study by two Harvard economists emphasizes the enormous impact neighborhoods have on the trajectory of poor children. 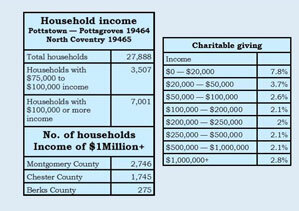 The best way to help Pottstown's poor is to encourage more middle class families to move into the borough. 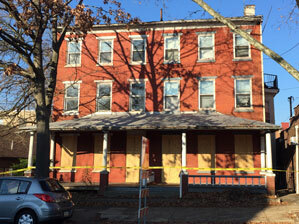 After 20 years of talking but not doing, Pottstown Borough has finally completed a comprehensive inventory of all housing in the borough, including 5,413 rental units. 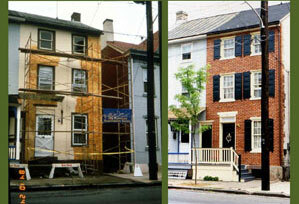 Both Montgomery County and the borough have employed forgivable loan programs to encourage homeownership in Pottstown. We need to continue and expand them. Residents who live near their workplaces, stores, schools, and other destinations enjoy an environmentally friendly lifestyle. Pottstown needs more productive residents, and employees of borough government and the school district are a good place to start. 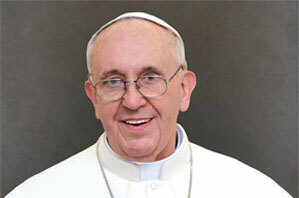 The political world is in denial, but Pope Francis is not. 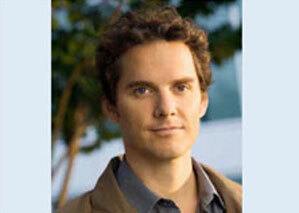 He has challenged all of us to do our part to promote fairness and protect our earth. 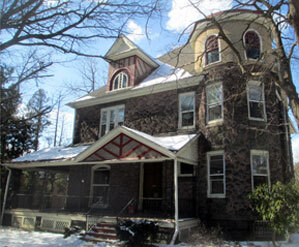 The Cluster, which operates a distribution and counseling center at King and Franklin streets, intends to expand to the adjacent Wainman house, an 1887 mansion. But is this the best use of the property? 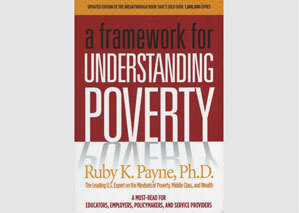 How much poverty can we handle? With among the highest taxes in Pennsylvania and 70 percent of its public school students from low-income families, Pottstown cannot afford to attract more poor people to the borough. 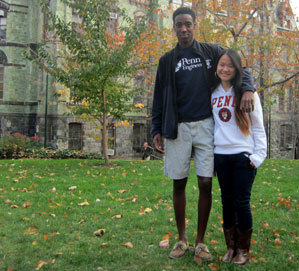 As demonstrated by Penn students Jasheel Brown and Miranda Somich, Pottstown High School '13, Pottstown schools can prepare students for the most rigorous academic environments in America. 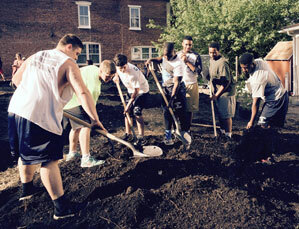 Pottstown students, shown here helping to plant Mosaic's new edible garden, are polite and well-natured. 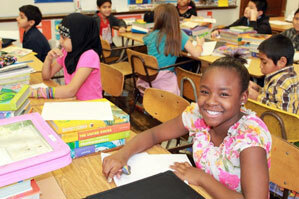 Our schools are a true melting pot, and our regular classroom teachers excel. 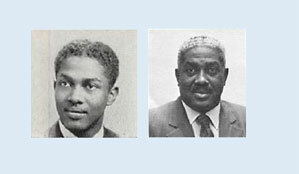 Edgewood Cemetery is not only physically close to The Hill School, three Hill School headmasters and prominent faculty members are buried there. 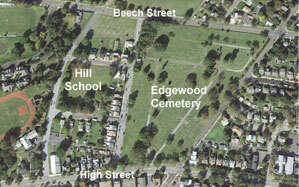 Returning Edgewood to its roots as a passive park would be a service to the community. 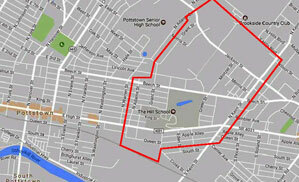 The Hill School's greatest recruiting problem is its location next to a high poverty district in Pottstown. 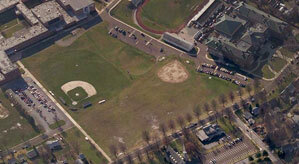 By investing in Pottstown's neighborhoods, The Hill School can help the town and itself at the same time. 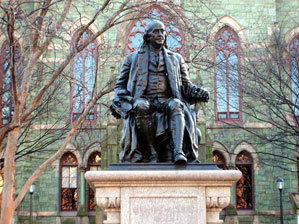 At a recent visit to his alma mater, The Hill School, Gov. 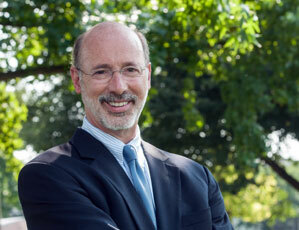 Tom Wolf offered some advice all of us can take to heart. 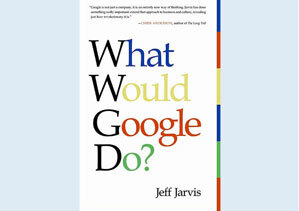 "Do difficult things... people want to be fair and if you're fair to them, they will reciprocate." 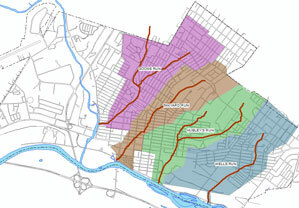 Pottstown, like most municipalities, has a storm water problem. 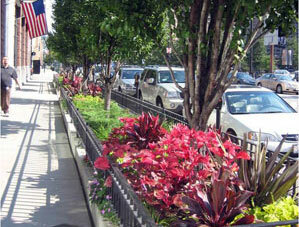 Green Infrastructure is the most environmentally responsible way to solve it. 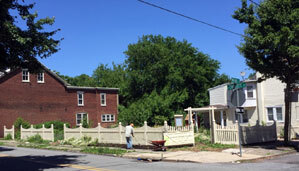 The Mosaic Community Land Trust, which operates two community gardens on Chestnut Street, is hosting a new, more prominent garden based on sustainable agricultural principles. 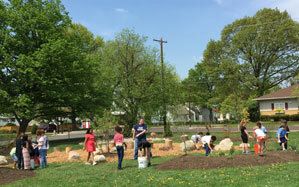 One bright Saturday last month, parent and student volunteers added to Pottstown's green infrastructure with a new outdoor learning garden at Franklin Elementary School. 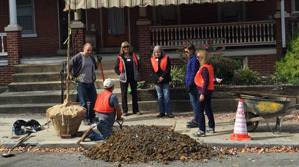 As a demonstration project, Trees Inc. recently installed a rain garden on Walnut Street next to the Pottstown School District administration building. 'Tree Park' making a comeback? 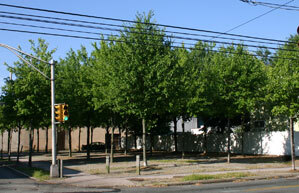 Last year, the trees at the Beech and Charlotte streets "Tree Park" failed to leaf out. Now it looks like they're making a comeback, thanks to a variety of remedial measures. 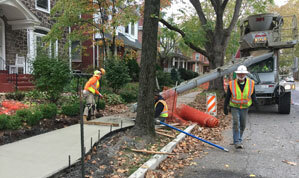 During the last 30 years, Trees Inc. has planted 2,500 street trees (new and replacements), removed dead trees and ground out stumps, and remediated sidewalks. 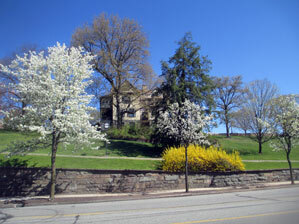 The trees have transformed the appearance of Pottstown. 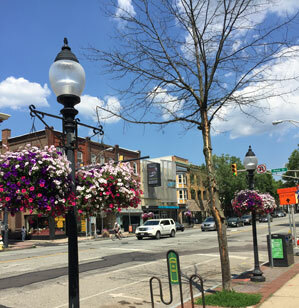 As the world begins to recognize the reality of climate change, people are beginning to rediscover the merits of walkable, bikeable towns like Pottstown. But we need a sustainability plan. Pottstown Council passed a 2015 budget with no tax increase. 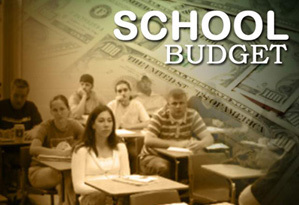 The Pottstown School District has promised to do the same in fiscal year 2015-2016. This needs to become the norm. 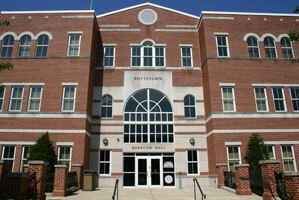 Pottstown has committed $76 million for renovations and additions to our schools. Our school budget has increased at more than double the rate of inflation in the last 15 years. In the future, we must economize. 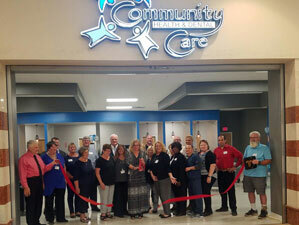 Quality of life services are essential to attracting and retaining good residents and businesses. 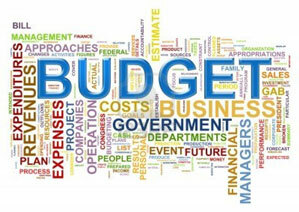 Government should do a cost-benefit analysis to ensure we get the most from our public dollars. Proponents of consolidating Pottstown's four volunteer fire companies say a merger is necessary to control costs. 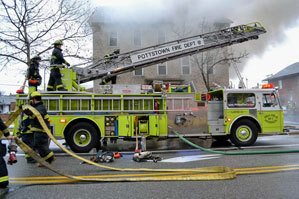 The reality is, fire protection in Pottstown already costs far less than other urban areas in eastern Pennsylvania. 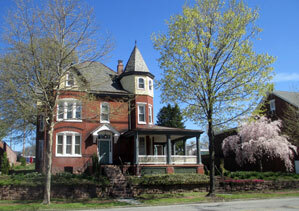 The 1887 Wainman house is perhaps Pottstown's most magnificent mansion. It must be protected, but it's unclear who owns it. 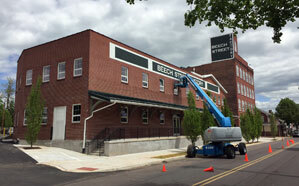 The abandoned Fecera's warehouse on Beech Street can have a new life as apartments and an arts center. The non-profit organization proposing the adapative reuse of the building needs the community's support. 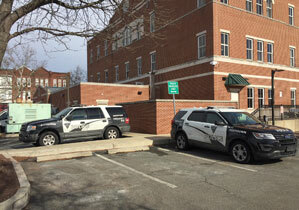 Despite major economic development initiatives, the city of York faces a $7 million deficit next year. 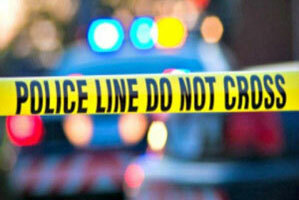 The mayor has proposed laying off nearly half its police officers. York proves there are no panaceas. Pottstown needs to maximize all its funding resources as it contemplates the future. 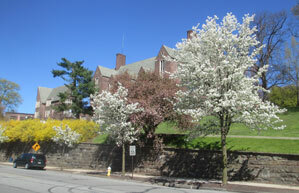 The Hill School has the largest and most valuable property in Pottstown, which is tax exempt. 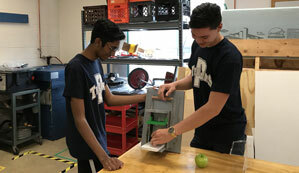 With a $153 million endowment, the ability to raise tens of millions of dollars from its alumni, and a location in the midst of a struggling town, The Hill School is ideally situated to help revitalize Pottstown. 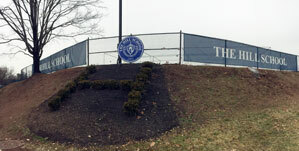 A visit by Pottstown and Hill School officials to Trinity College provided a model for the Hill School to invest in surrounding neighborhoods. High school trips abroad are great. Service learning trips are even better. 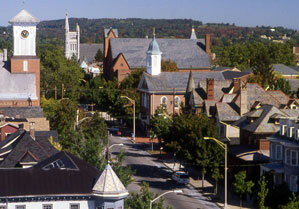 With historic architecture, a lovely downtown, neighborhood schools, and every destination within walking distance, there's no better place to live and work than Pottstown. The emerald ash borer, which was accidentally imported into Michigan from Asia in 2002, has killed tens of millions of ash trees in 22 states during the last ten years. 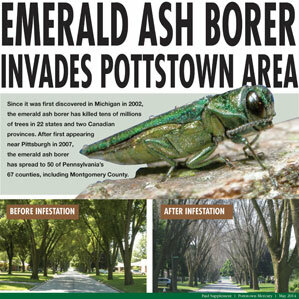 It has now arrived in Montgomery County, and thousands of Pottstown-area ash trees are threatened. 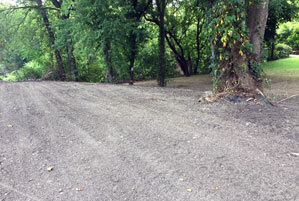 The photos, above, show the impact of the ash borer on an Ohio street. Trees Inc. has published a tabloid supplement to The Mercury with information on how homeowners can protect their trees. 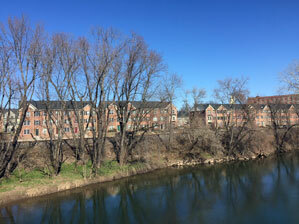 Here in Pottstown, our lovely historic buildings -- especially our schools -- bind us together. 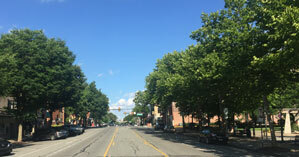 Many of Pottstown's most successful development initiatives were first suggested by the Urban Land Institute, the nation's premier research institution for urban planning and development. Few people remember, but ULI -- the Urban Land Institute -- first conceived the concept of building a new borough hall and town park in its current downtown location. ULI also urged Pottstown to persuade the Montgomery County Commissioners to build a satellite campus of the community college in Pottstown. Smart growth is the name given to development that conserves land by using smaller lot sizes and placing houses, stores, and workplaces in close proximity. 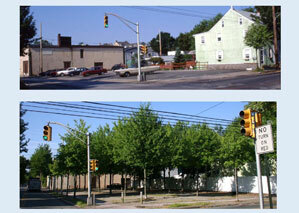 As Pottstown has evolved over the last 250 years, it exemplifies the principles of smart growth. As we approach the end of the year with holiday celebrations of giving and thankfulness, we can be proud of Pottstown's "world class" givers. 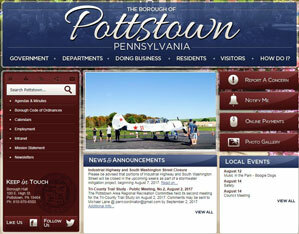 DISCLAIMER: The information contained on this Web site, which includes information contained on all links to other sites, is provided as a public service by Pottstown Citizens for Enlightened Leadership. The material on this Web site comes from government and other sources, and Pottstown Citizens for Enlightened Leadership does not guarantee the accuracy or completeness of the information, or make any representation as to whether the information is current. 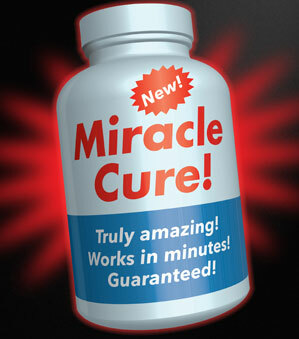 No warranty, express or implied, is created by providing the information on this Web site. Pottstown Citizens for Enlightened Leadership shall not be liable to anyone for any decision made or action taken, or not taken, in reliance on the information found on this Web site. 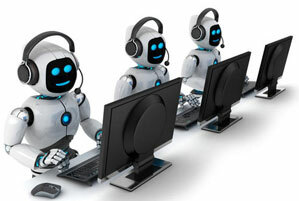 Users are advised to do their own independent investigation before relying on or taking/not taking any action based on information found on this Web site.